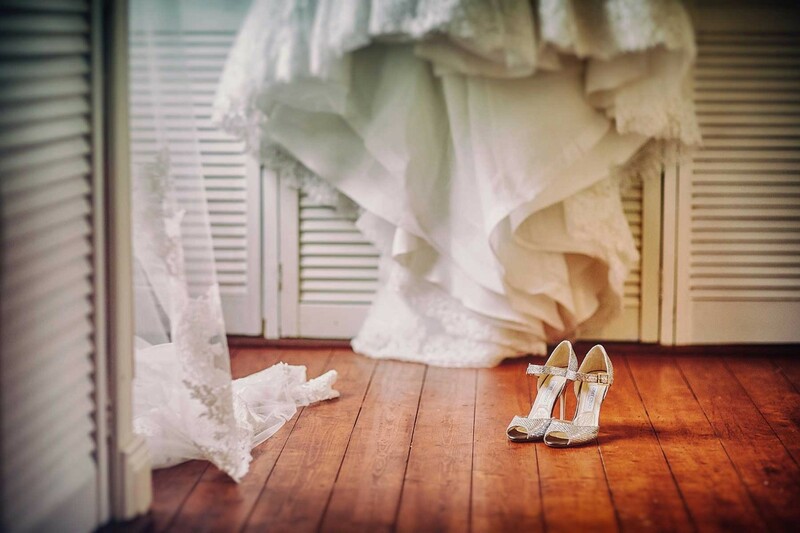 Wedding photos that look as stunning as the bride herself … that’s what you’ll get from DKPHOTO, one of the finest wedding photographers in the country. Happy clients say that Daniel is great to work with – unobtrusive but ever alert, easygoing but professional, and always good-humoured. Based in Ireland, he will travel anywhere in the country as well as to venues across Europe. When we were looking for a wedding photographer and we saw Daniels work we knew immediately that we wanted Daniel to photograph our big day! From the minute Daniel arrived at our wedding he was just brilliant. He understood exactly what we were looking for and his approach to everything was just so professional and calming. 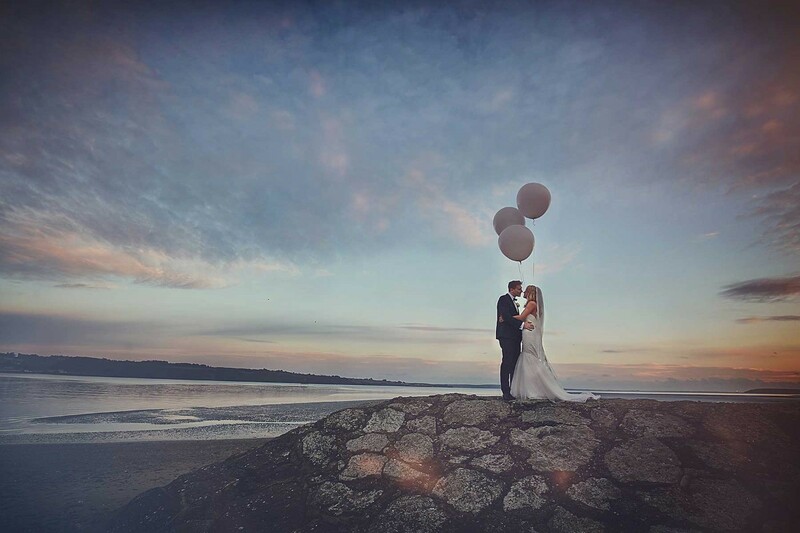 When we received our wedding photographs we were just blown away. He had captured everything we had wanted and more! 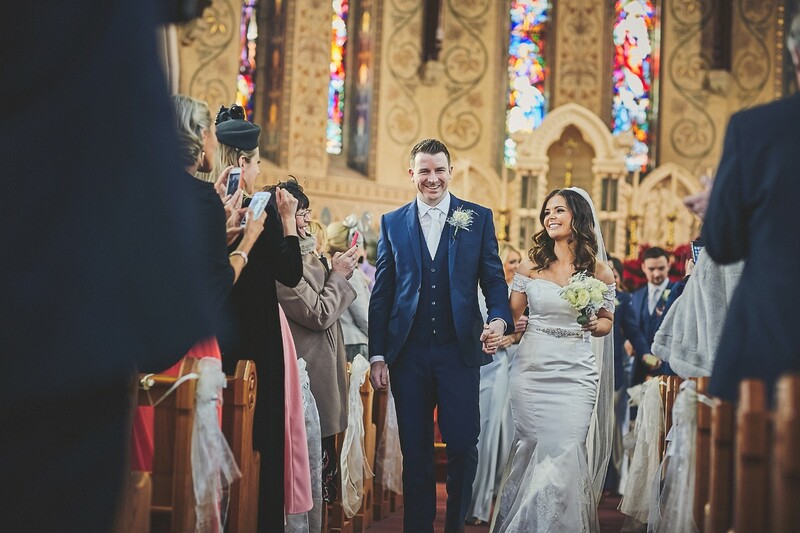 We are so delighted we had Daniel there with us on our wedding day and we will always cherish the photographs that bring us back to the amazing day we had!!! Thank you so much Daniel!!! Professional, knowledgeable with his art and producing amazing beautifully natural photos. We just love them. On the day Daniel was great for making sure the important photos were taken, but could blend into the background when required. 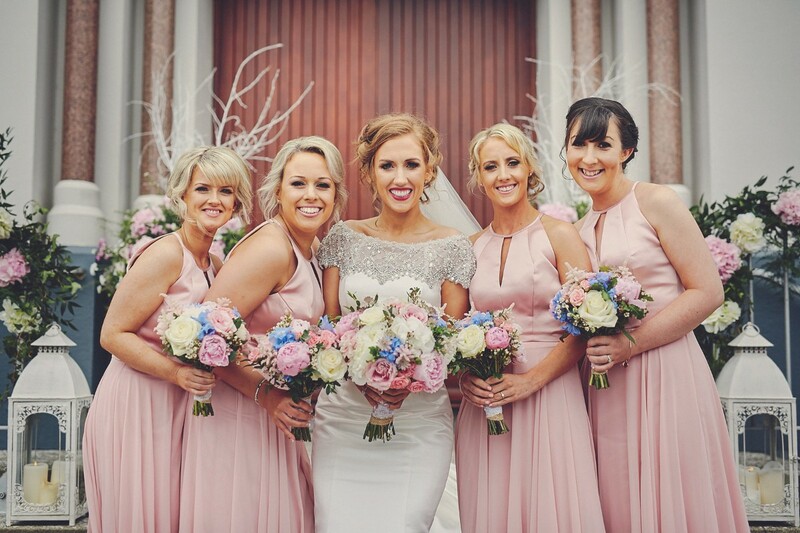 We are overjoyed with the photos and service Daniel provided, would recommend him to everyone. He made an already special day even more spectacular! The best decision we did and I didn't realise at the time how important it is to get this right!!! So chuffed I booked DK Photos with Daniel he is an amazing person he has such a relaxed manor and down to earth guy. We had know idea the detail he captures until my photos arrived. 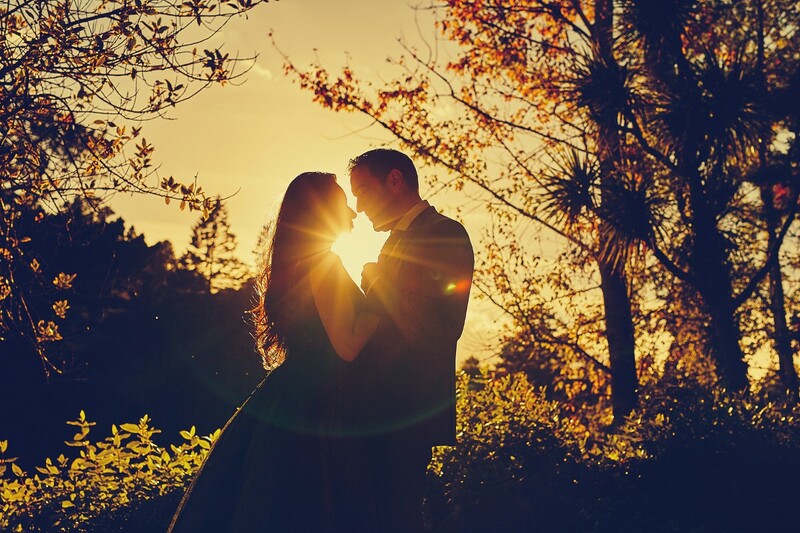 He captured above and beyond my expectations and we are totally blown away with our photographs. My advice to you all is just book him he is absolutely true gentleman and pleasure to work with.- you won't regret it my photographs are truly amazing!!! I honestly don’t even know where to begin. 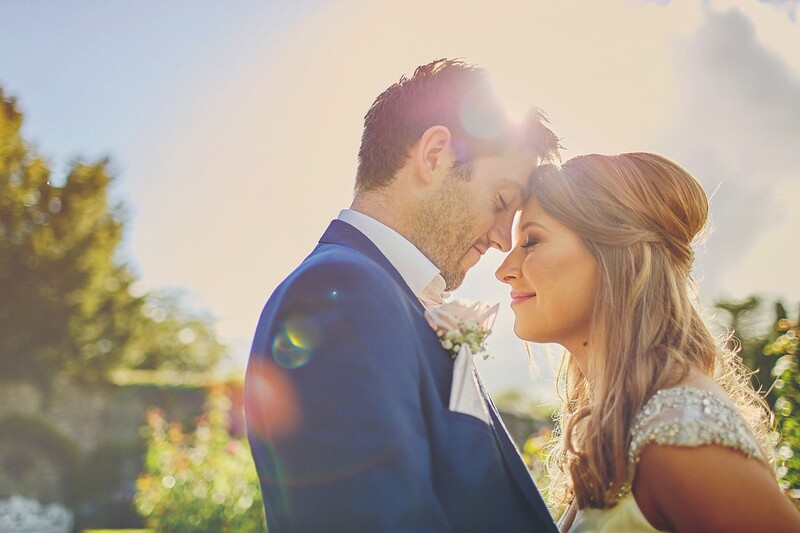 I knew from the moment I started to plan my wedding that I had to check if Daniel was available first, before booking any dates for a venue, as there was no one else I was going to have as my photographer. 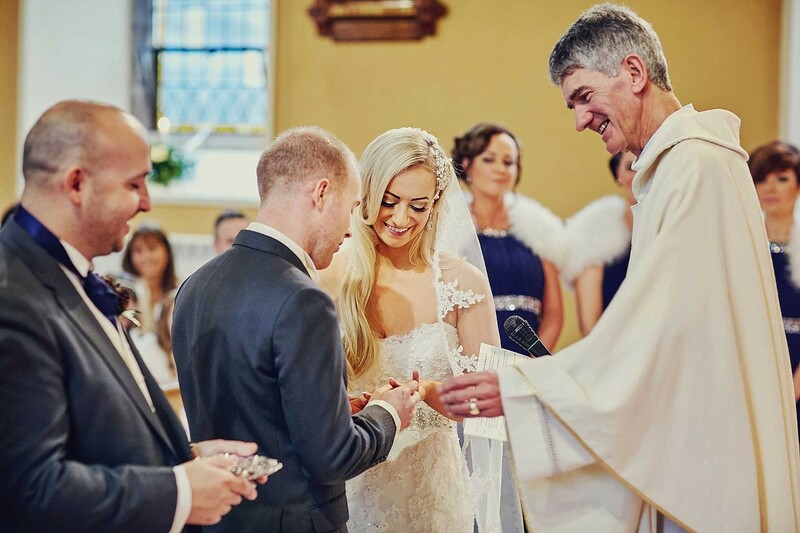 I was aware from previous experiences with him, when I was a bridesmaid or a guest at other weddings, that his calm, friendly and relaxed demeanour was exactly what I wanted on the day. As for the pictures...I always knew we would love them, but we were honestly blown away by how beautiful they turned out. His ability to capture the most perfect moments is incredible, he made our day so special and gave us such beautiful pictures to look back on. Cannot recommend him highly enough as a photographer. Probably the most important person at your wedding,"Daniel" a gem & a true gent. Our wedding photographs are out of this world. I feel words are just simply not enough,to describe this man & his talent. Daniels relaxed manor, his unique loving approach, he captures all the important details without any fuss and just blends in. Your photographs are so important for this one day in your life, you need to think wisely about your photographer, daniel will deliver & more, he is simply amazing at what he does. I promise you will not be dissapointed. Daniel we will never be able to thank you enough. Love always and forever Lisa,Robert & maisie ???? Daniel is just wow, my wife and myself are amazed with him. He is just fantastic man, we are deaf couple, he wasn’t nervous about us being deaf, he used gestures to communicate with us so there was no communication-barrier between us. he make us feel relaxing and keep us happy. We had him from 10 in morning till to roughly at 9 or 10pm, we didn’t even noticed that he was there and he still took pictures of us. Photo booth was brilliant, all of our guests loved it! His pricing is well worth it. If we have to do wedding again, Daniel will be our first choice without a question. Our wedding was supposed to be on 11th of November but Daniel wasn’t available so we changed our date to 24th of November because he was available on that day, we only changed the date because we want him to be our photographer. Ten out of ten, brilliant photographer and really lovely man. Where do I start about Daniel what a great guy and one hell of a photographer, the one thing I didn't want was someone in my face all day and a massive thing for both me and my husband was that we got to enjoy the day with our guest that was so important and we did and still got out amazing pictures that we will be forever in awh over! Daniel thank you so much again from myself and Damien for being everything and more of what we wanted, you really didn't disappoint!!! When we first got engaged I knew exactly who I wanted to be our photographer and that was Daniel, Thankfully he was available!! I had seen his work pop up on Instagram many times over the last couple of years and it was exactly what we wanted!!! Daniel has such a natural approach to his style of photography and from the moment I met Daniel I knew I wasn’t going to be one of those brides who had to put on a fake smile for the entire day. We were both overwhelmed and delighted with how our photos worked out and we our super excited to get our Album (Don’t know how we are going to choose). Our USB arrived on the post today and even the presentation of that was impeccable. I would highly recommend Daniel to any couples out there, I can Guarantee you won’t be disappointed ???? Kelsey and I feel very lucky that Daniel was part of our wedding day. When we got engaged, we immediately started our search for a photographer. We found DK Photo by chance and we thought the photos on the website were amazing. The collection of photographs that Daniel produced for us was absolutely fantastic! Such a wide variety. He puts you at ease straight away and you are confident that he’s an expert at what he does. We were also really impressed with his patience, attention to detail and that eye for a perfect photo. 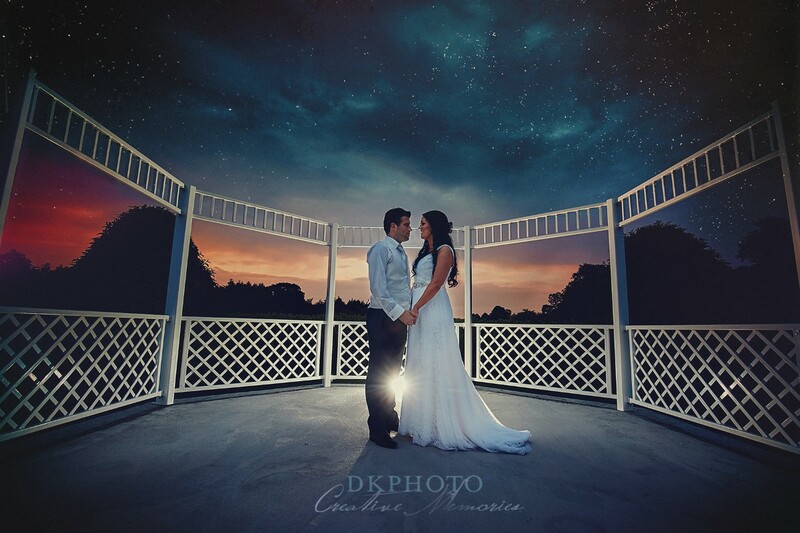 We would definitely recommend using DK Photo for your wedding! p.s the photo booth was so much fun! Daniel was fantastic. 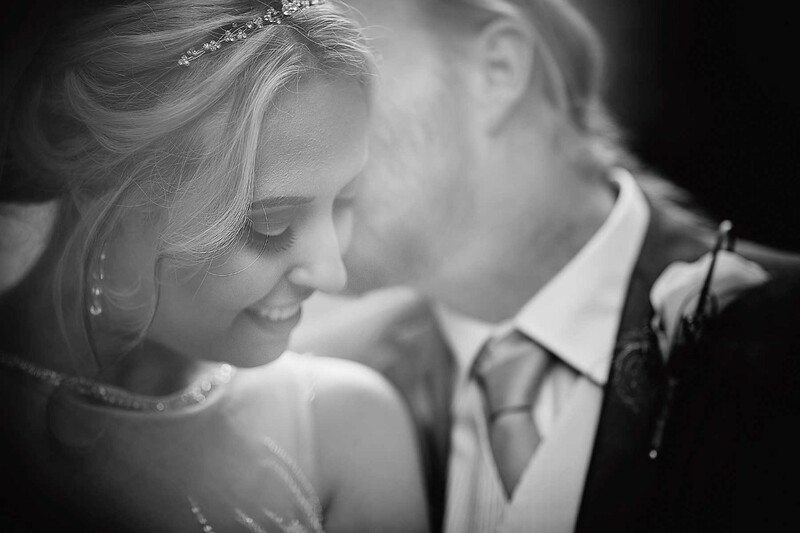 From the initial consultation where he focused completely on getting a sense of us as a couple, with a focus on photos that would represent us and our families, to the day itself where he took the time to chat about what photos we wanted Daniel was kind, generous and supremely organised. He went above and beyond in taking photos of the whole wedding that included the moments that would usually be missed by a photographer. The care and attention to detail and getting photos that caught quiet, emotional and giddy moments have made our day, and provided us with priceless memories. I would highly recommend getting the photobooth and short video as they truly catch the essence of the day without being too formal. We cannot recommend Daniel highly enough, and feel very grateful that he was part of our wedding preparation and the day itself. His emails and blog posts proved to be an invaluable part of the planning for the day. I can not recommend Daniel enough. From a nervous, shy bride. Daniel made me feel at ease from the moment he came to our room the morning of the wedding, talked me through everything. He was amazing from start to finish. From the photos when I wasn’t aware he was there to the posed photos I loved it all. His professionalism and positive encouragement were amazing. We were extremely happy with Daniel as our wedding photographer. He was very responsive when we first contacted and sent us loads of good information beforehand to help us get the most out of the day. On the day he put us at ease and wasn't at all intrusive. 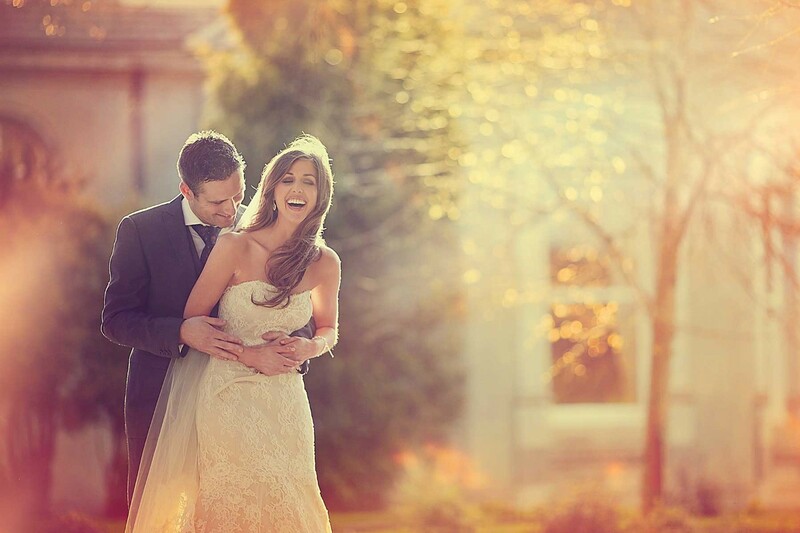 He beautifully captured our day and we were extremely happy with the results. We would highly recommend him! From the moment we saw Daniels work, we knew we had to book him for our wedding day and we were definitely not disappointed!! Right from the booking to even after the wedding Daniel was always there to answer any questions we had. On the day of our wedding god love him he was smothering with a dose but ploughed on through the day without a bother. He was so friendly and chatty and put both of us completely at ease that as the day went on I didn’t even notice him there. The photos were out of this world. We can’t stop looking at them. The detail and effort that was put in to get each and every photo was amazing. Daniel captured every moment spot on. For any couple looking for top quality wedding photos - Daniel is the man you need you book!! Thank you so much Daniel and Ana for making our wedding day so special. My wife and myself got married in September of this year. We booked DKPhotos a couple of years in advance because I knew how good he was and he would have been in high demand. Have to say we weren’t let down! From the get go I found him very professional and very helpful, gave us lots of helpful tips and advice close to the day which really helped. His primary goal was to get the best pictures, so his direction on the day was spot on, won’t put you wrong. Would highly recommend him to any couple getting married, will not be disappointed. Big thanks to Daniel and his wife Anna for everything they have done for us. Really appreciate the work you both have done for us, pictures turned out better than I ever thought. Joanne and Keith thank You for kind words! All the best in future for Your family! Melissa and Keith Thank You !!! Thank you so much for our wedding pictures we absolutely love them, the slide show brought us right back to the day and made us so emotional. you captured it all from start to finish. The day looked so relaxed and enjoyable, which it totally was. We cant wait to share them with everyone. Thank You Aideen and Paul! Dan and Fiona thank You for Your kind words! 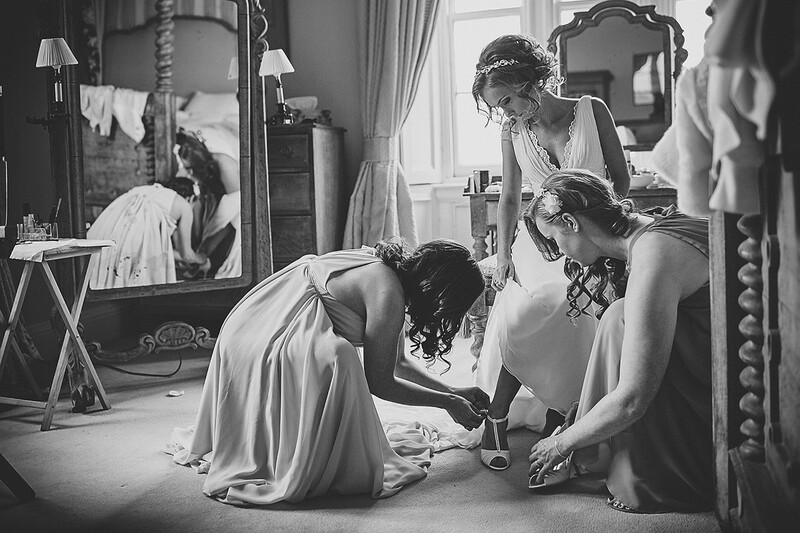 We cannot recommend Daniel highly enough as a wedding photographer. He is an incredibly talented photographer, and an absolute gentleman. On the day, Daniel was polite and helpful. He made us feel at ease and explained everything very clearly. He faded into the background and managed to get some brilliant documentary-style shots of our guests enjoying the day. The photos are amazing - the colour, picture quality and editing are absolutely outstanding. They brought back so many happy memories of our wedding and the picture slideshow really tells the story of our special day. Daniel’s attention to detail is second to none and he has managed to capture the essence of our wedding. 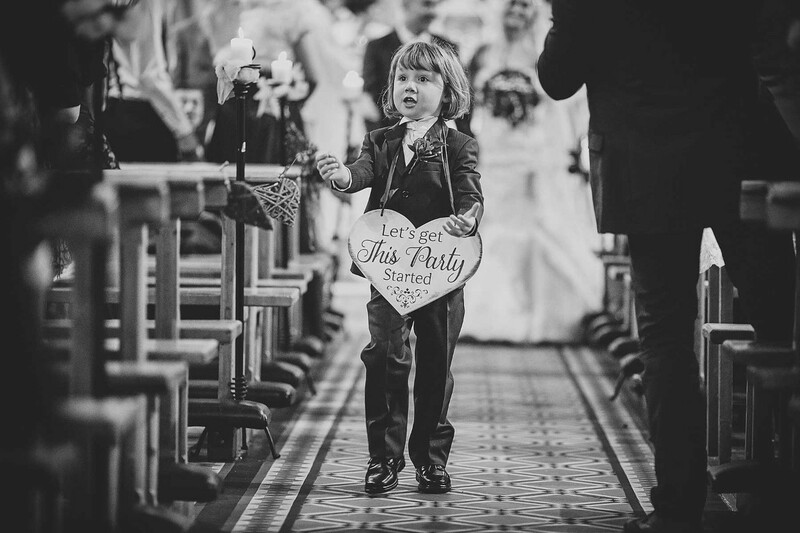 We would wholeheartedly recommend Daniel to any bride or groom. Thank You Linda and James for kind words !!! Daniel is such an amazing photographer! I absolutely love all of our photos, the quality and variety is wonderful, he really captured the day. He made us feel very comfortable and natural which really shows in the photos. Amy and Frankie - such a fun day! Thank You again! Daniel was lovely from start to finish. From the first email I sent him to ask about his service...right up to receiving my pictures last night. Very professional and made everything so easy and straightforward. I honestly hardly noticed he was there on the day in the background snapping away...which was exactly what I wanted. I could go on and on about Daniel...but all I will say is if you are considering booking him, just do it!!! He will not disappoint!!! Olivia thank You so much ! 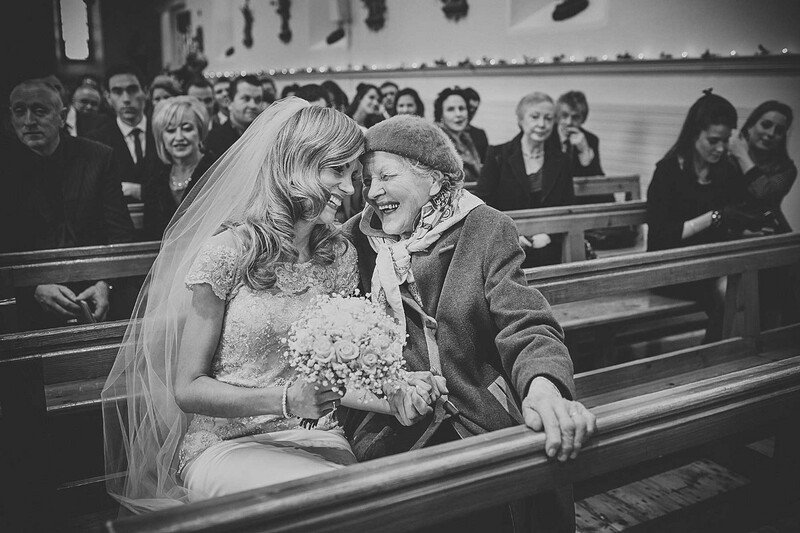 Look no further if you are looking for a wedding photographer to capture your day perfectly! Daniel was a pleasure to deal with from start to finish. He answered any of our questions quickly and provided excellent advice. He is lovely and friendly and put us at ease on the day itself. We hardly noticed he was there and I can't believe the amazing moments he captured. We wanted more relaxed, natural photos of ourselves and our guests enjoying the day rather than posed formal portraits and if that is what you are looking for, Daniel is your man. We were blown away by the quality of the photos and the amazing slideshow he put together for us. Everything down to the last detail, including the USB presentation box and wedding album is very professional and you will not get better value for money. You won't be disappointed! Thank You Alison for kind words !!! Daniel is excellent at what he does the pictures are something i will treasure forever. He is relaxed on the day and captures all the special moments. I would highly recommend him. Sophie Thank You for Your kind words ! Daniel produced such beautiful photos and a fabulous slideshow. From seeing his work before the wedding, I had high expectations for the photos but I was still blown away with the end result. He truly captured the day and all the little special moments between everyone. On the day I didn't even notice he was there and he was so relaxed and on the ball. I am so happy we chose him to photograph our special day. Regina thank You for kind words ! We were blown away by our wedding photos! Being a wedding videographer I knew exactly what I was looking for when choosing suppliers and Daniel didn't disappoint. From the initial booking right up to the delivery of our usb and slideshow we couldn't have asked for a more professional and talented guy. 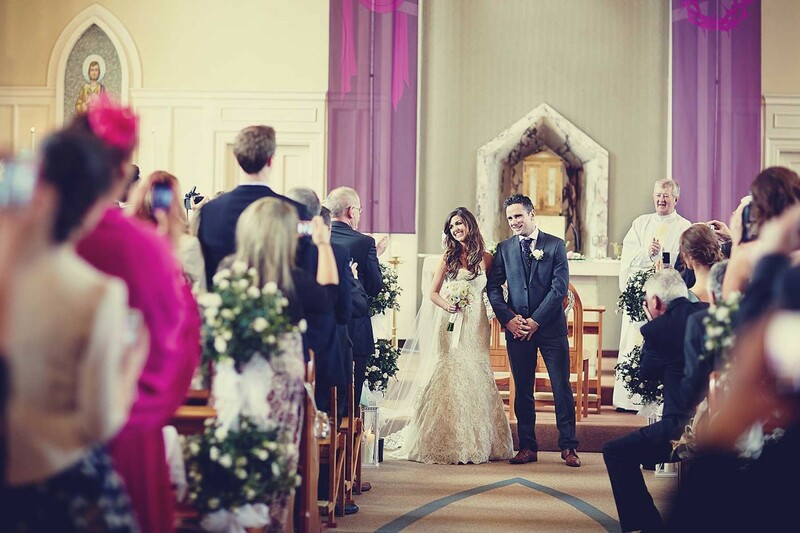 He worked really well with our videographer and that is something that is hugely important. His style, colours and attention for detail are what makes him so popular. If you're thinking of booking DK Photos just do it, you won't regret it! Daniel was amazing from the moment we contacted him, his advice and suggestions really helped us put our day together! On the day he was relaxed and an absolute pleasure! 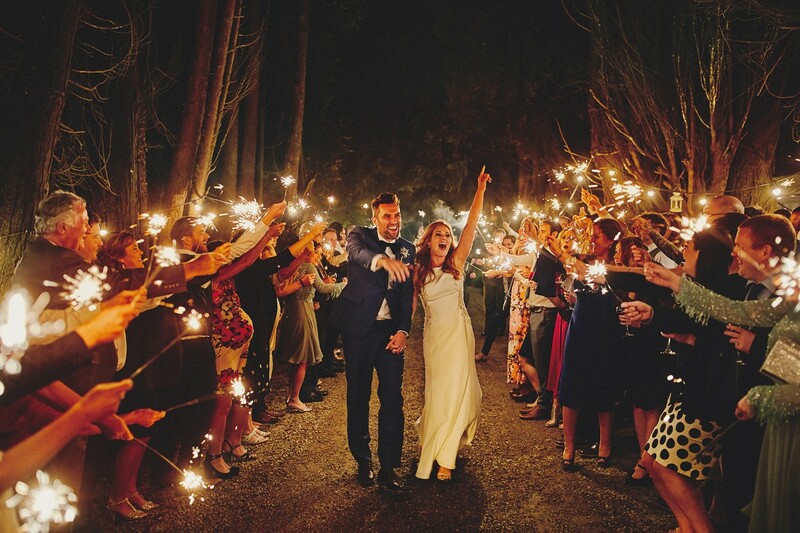 We honestly could not have picked anyone better to capture our day! We also booked our photobooth with him and it too was fab! Everyone has been talking about it since! Booking DKPHOTO was one of the easiest decisions and we are delighted! So looking forward to the pictures now! If you’ve seen his work you can see why we chose him! He really helped make our day amazing! Daniel was amazing! Our engagement photoshoot was better then either of us could imagine! The photos came out so great that we are having a hard time picking a favorite! He was 100% professional and we couldn't be happier with the entire day. Paula Thank You so much ! We found Daniel online, from the very beginning it was effortless. He put our minds at ease and we didn’t have any reservations or worries regarding the photos. When the day arrived Daniel arrived and got straight to work-we actually forgot he was there for most of the morning and the day-he worked seemlessly in the background and produced the most amazing photos of our special day. My husband was a little worried about having a photographer sticking a camera in everyone’s face for the day as we had experienced before, he. couldn’t get over how Daniel worked on the day-forgetting he was there for the most part. We wouldn’t hesitate in recommending Daniel to any couple who want a relaxed and stress free day with great photos. Marianne and Brian Thank You !!! WOW......DKPHOTO!!!!! We are moe than impressed. How fabulous!!! Our photos are perfect and we love them!!!!! Daniel is so easy to work with and made us feel so comfortable. He is so unintrusive. We would recommend him 1000%!!!! Katie - THank You !!!!! From the moment we chose Daniel as our wedding photographer he put our mind at ease with his level of professionalism and proactive communication. 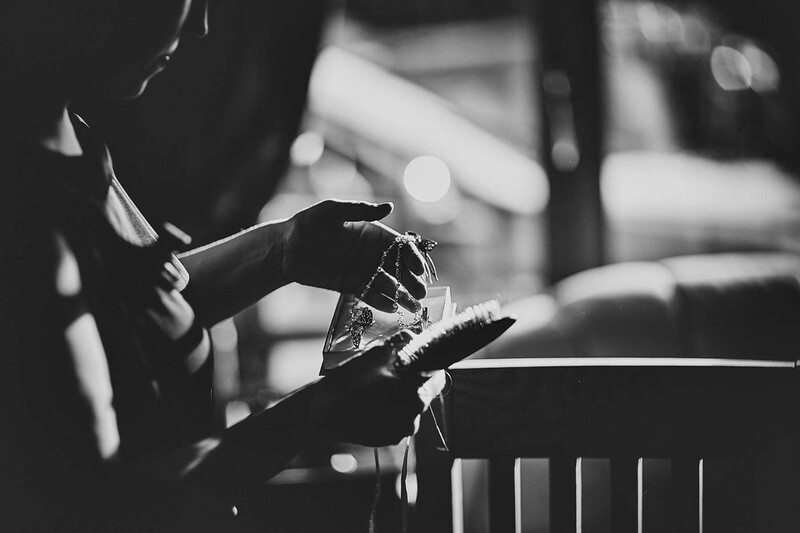 We had selected Daniel as our photographer for his creative flair we discovered on his portfolio online. On our wedding day, his attention to detail was second to none. Throughout the day his subtle approach made our guests feel at ease. We were delighted with how he managed to capture so many special moments on our day through his unique style. Moments we would have otherwise have missed, he has left us with memories that will last us a lifetime. Overall, we were very happy we chose Daniel and we would highly recommend him as your wedding photographer. Daniel is just amazing at what he does! I really can't thank him enough for the amazing photos we have of our day. He blends into the background so all our shots are natural and fun. If I could give more than 5 stars I would! On the day he was so easy to deal with and put my nerves completely at ease! Daniel was the first supplier we booked once the date and venue had been decided as it was the one supplier I did not want to compromise on for our wedding day. We fell in love with his relaxed, unposed, quirkier style of photography. We are so glad our date was available as we can honestly say he is an incredible photographer and lovely person to have as part of your wedding day. We were blessed with a wonderful dry but cold Winter's day. Daniel worked quickly and efficiently for the outdoor pictures in the wood (to keep us from freezing!) and with great ease considering myself and my husband aren't huge photograph people. This meant we got to enjoy almost all our drinks reception with our guests which was important to us, but without compromising the quality of our wedding pictures ofcourse. The outdoor pictures of us and our bridal party are amazing, but I feel Daniels magic really shows in the pictures he catches in the moments nobody knows he's there. He has captured memories and emotions we will cherish forever. 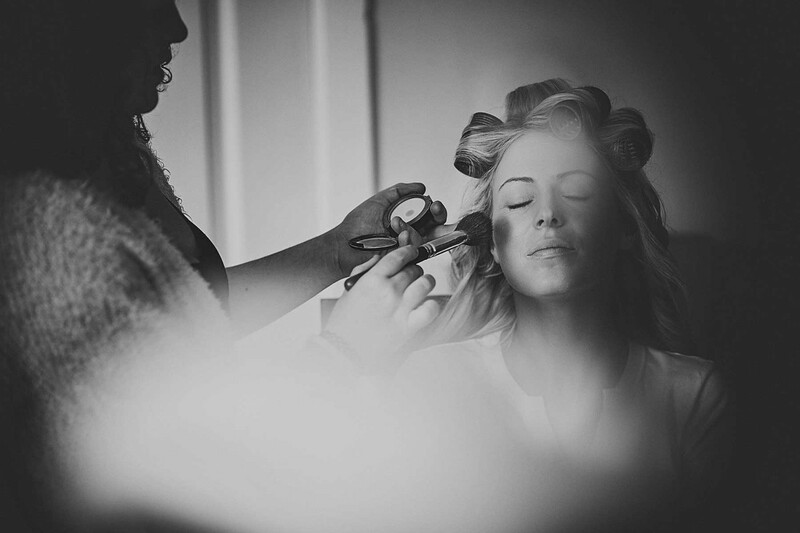 Daniel and Anna are a dream team and we were truly blown away with the slideshow of our day they put together. The attention to detail was amazing by including my friends voice over of the communion reflection poem being used in the slideshow. We would recommend Daniel as a photographer to everyone who wants professionalism with a friendly, fun attitude and photographs which show real emotions over generic poses. 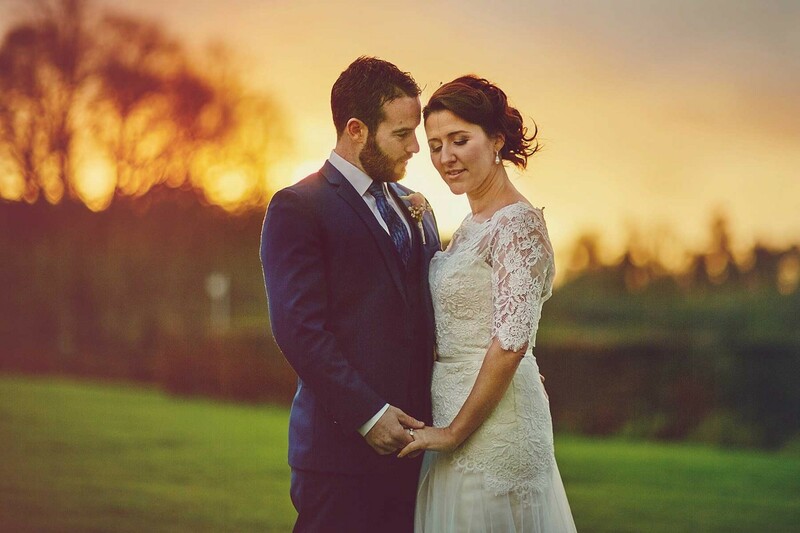 Daniel was completely amazing as our wedding photographer and has produced the most gorgeous photographs. He's really personable and easy to chat to, and we felt totally at ease with him. Friends who were unable to make it have said that they felt they were there, and that he really nailed it. All the happiness and warmth from the day is on show and each photograph captures the most open and beautiful account of our Wedding Day. Amy Liam Thank You ! Daniel was a pleasure to deal with, he is very talented and focused his attention on creating amazing images of our wedding day. We had often attended weddings where we watched photographers almost take-over and run around like stressballs, we were keen to have someone chilled on our day so that we would have the best photos possible and enjoy the experience of having our photos been taken. He was relaxed, calm and took the shots subtly in the background which for us was really important, we are really pleased with the results. We couldn't recommend Daniel more. He was amazing on the day. He was very relaxed and we were never aware of him during the wedding ceremony which was something that I really wanted. For our photos after the ceremony he got them done quickly and easily which meant we had loads of time to spend with our family and friends. Having just received our wedding photos, we are delighted. He caught so many moments throughout the day and really captured the day so well. Top class. We wanted Daniel as our wedding photographer from the moment we saw photos he did from another wedding. Daniel has such a great eye for creative, intimate, professional, beautiful photos. He was so professional and responsive from the first email to the wedding day. 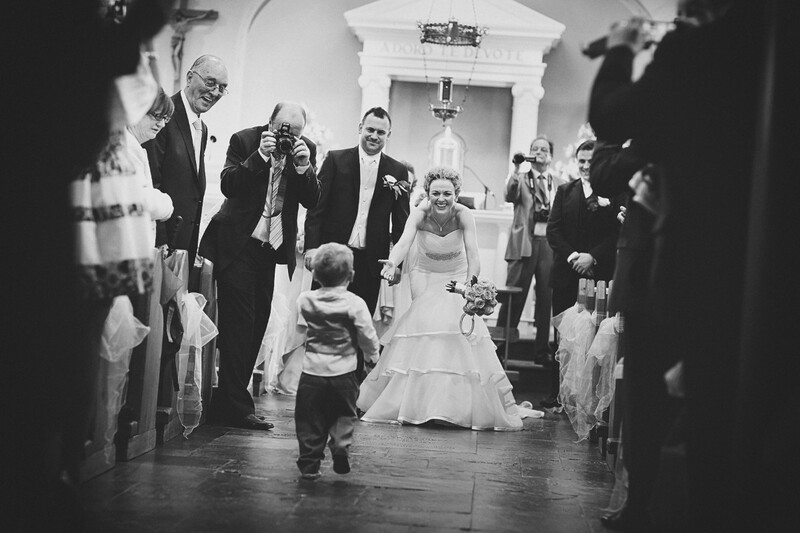 He provided very helpful advice on the wedding day and captured beautiful moments in an unobtrusive way. We thoroughly enjoyed getting our photos taken together as a couple with Daniel and it was completely stress-free. We were absolutely thrilled with our photos when we received them and could not stop looking at them! 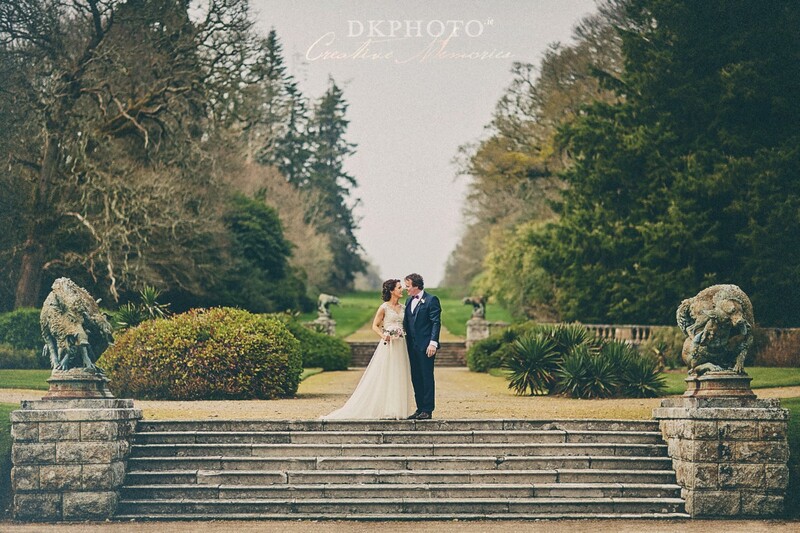 We would highly recommend DKphoto to anyone lucky enough to have him as your wedding photographer. Denise - Thank You so much !!! It was pleasure to work with You ! 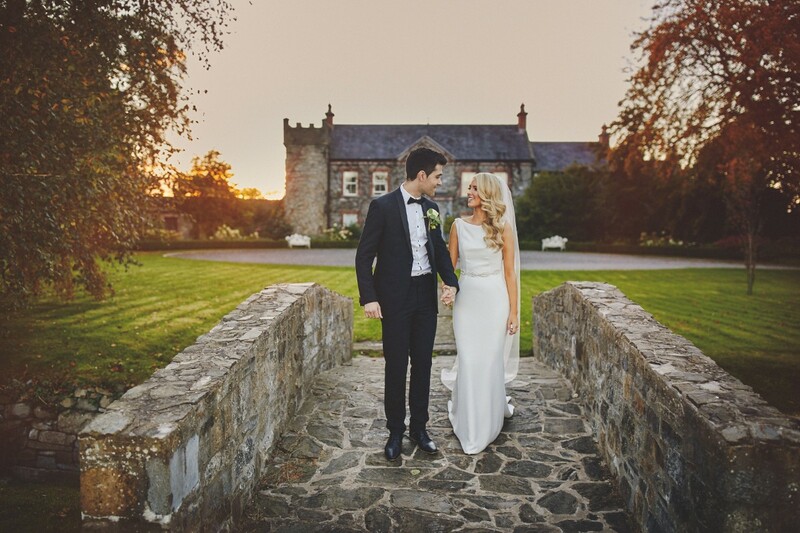 Daniel captured so many precious moments on the day of our wedding and we are absolutely delighted with the photographs. I can attest to the words on the DKPHOTO website because Daniel does capture “the magic moments of life, those funny, sad and intimate moments that turn photographs into memories”. 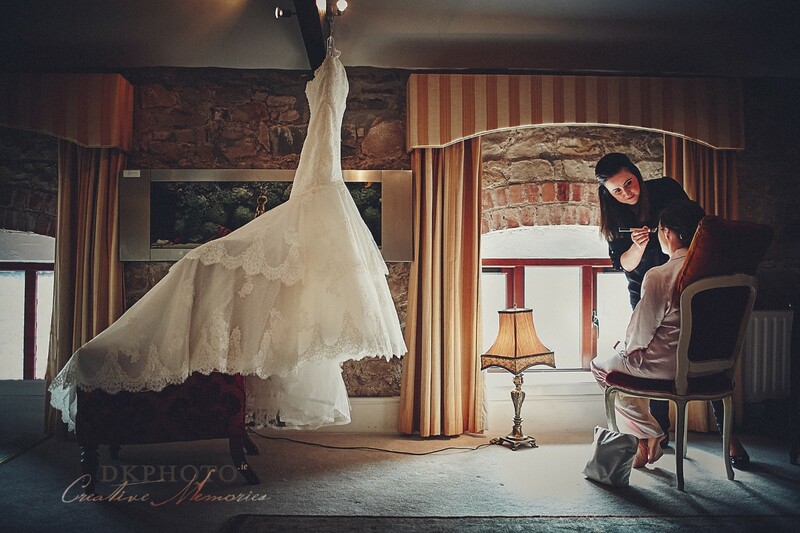 We would highly recommend him to any bride/groom because he is so professional and an absolute pleasure to work with. I have just received my photos from Daniel, to say I'm happy with them is an understatement!! I am a terrible girl for closing my eyes when I see a camera but no problem with Daniel they are open in all of them! Daniel is unobtrusive, straight to the point and very skilled at what he does. He didn't spend an age setting up poses and tying up the afternoon, it was all very straightforward and quick, leaving plenty of time for a quick drink and a chat with our guests! 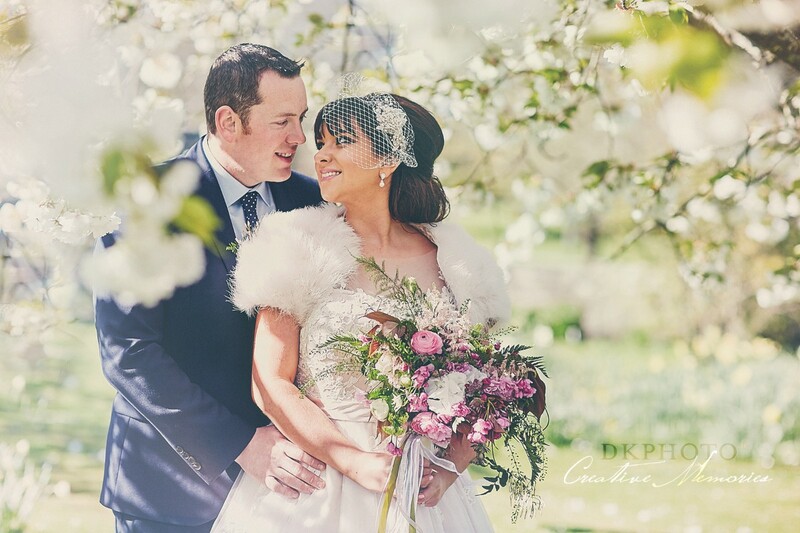 We are delighted we chose DKPhoto to document our wedding, he honestly did a fabulous job!! Daniel was a dream to work with. He is extremely organised and professional. From the moment we booked him, we didnt need to worry about a thing. He is obvously so experienced and amazing at his job. He was so discreet all day and the guests didnt take any notice of him; which is why we got so many natural relaxed shots of our guests. We got our pictures recently and opted for a short video he did for us also. To say we are happy with them is an understatement! Daniel not only takes photos; he also captures the atmosphere of the day. We would undoubtedly recommend him to anyone!! I can't say enough great things about Daniel from DK photography! He was the most amazing photographer, he was friendly and accommodating. He made it his mission not to take us away for too long, so we could spend as much time as possible enjoying our friends and family yet the resulting photographs were so amazing. His relaxed photography style throughout the day resulted in so many wonderful candid shots of all our guests and ourselves capturing every emotion of which there were a lot! We can't thank Daniel enough and would recommend him to anyone who asked. Daniel, Thank you so much for absolutely fabulous picture we love them! Especially slideshow brought me down to tears...Thank you so much ! Would highly recommend Daniel as a wedding photographer. He really takes pride in his work & is so clued in on the day of the wedding to capture the moments that you want to treasure forever. 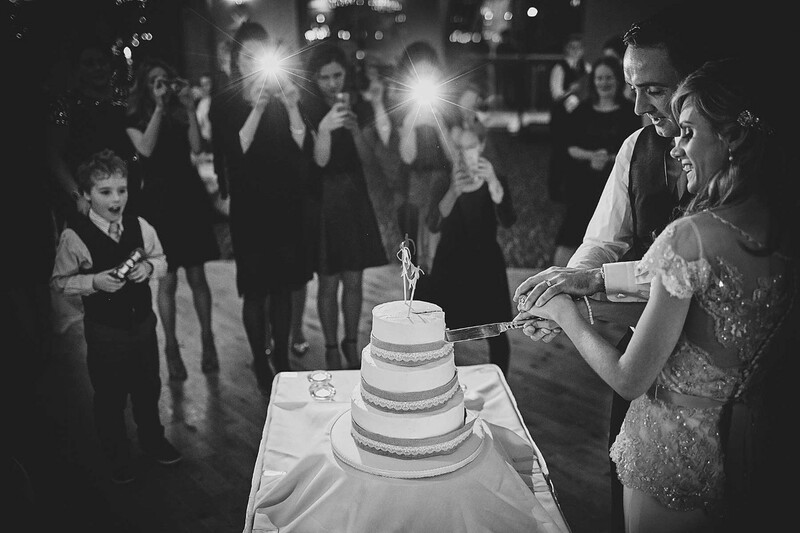 You get the chance to relive your special day through his photos. The quality of the photographers is just incredible. Above all that he is a lovely person and is so calm & relaxed. Can’t say enough good things about him! Anyone who knows me knows how photo obsessed I am - I have a MASSIVE collection of photo albums dating back to the 80s and I love flicking through them from time to time! So when we got engaged the first thing I started looking for was a photographer. 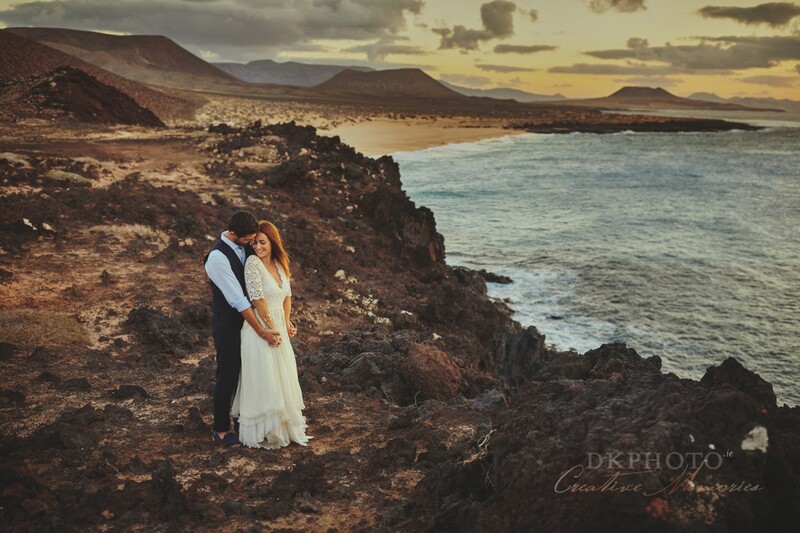 I trawled the internet unable to find someone who ticked all the boxes until I found DKPHOTO - the second I laid eyes on Daniels website I was in HEAVEN! 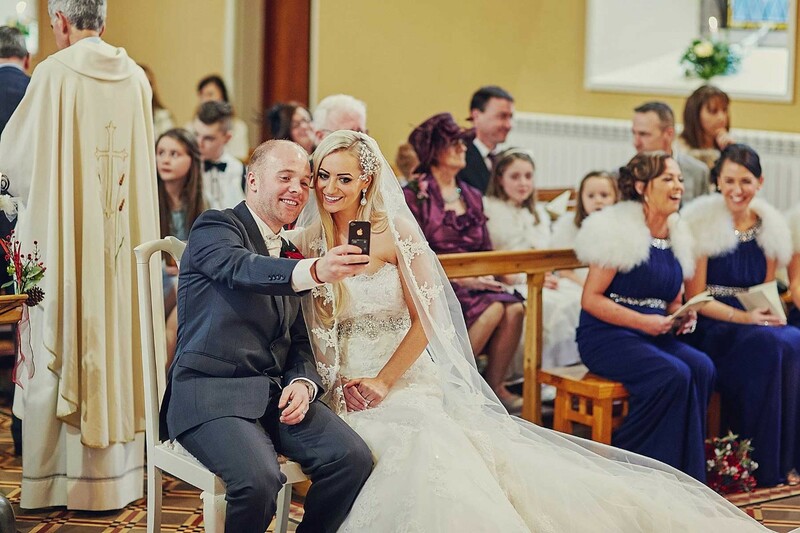 I had butterflies in my stomach flicking through all the beautiful photos and 5 star reviews - we were delighted Daniel was available for our wedding and we booked him straight away. Daniel was an absolute DREAM to deal with from start to finish. On the big day his calm and confident nature puts you at ease straight away and it really is wonderful to be photographed by someone with such an artistic eye. And he is so discreet you nearly forget that he is there! Our pics arrived this week and we are absolutely over the moon with them - I dunno how I got any work done at all sneaking back at every chance to look at them again and again! They arrived in a lovely little engraved wooden box and this impressive finishing touch just highlights Daniels level of perfectionism. Our wedding photos are just magical and I will cherish them for life. There is nothing that daniel did not capture and our friends and family are blown away by them. I will have to refrain from wanting to print every single one of them! Thank you so much DKPHOTO for capturing the perfect shots of our special day, our expectations were very high and boy did you deliver! ???? As a bride travelling to a foreign country for her wedding I knew that I needed a photographer that I could rely on. Though I knew based off of previous reviews that Daniel would be good, on my wedding day he exceeded all of my expectations. Daniel took extra time to scope out places for us to take photos and was incredibly flexible throughout my wedding day as the schedule was a bit fluid. Daniel has the ability to both give direction when you are looking for a special shot, and melt in to the background during important moments (I didn't even notice him during the ceremony!). And on top of all that he produces amazing picture. 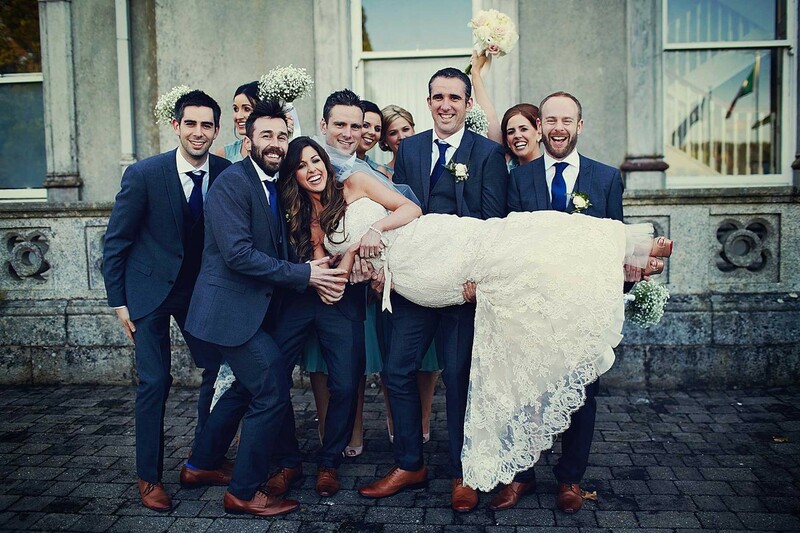 If you are getting married in Ireland, hands down, hire Daniel. The moment I saw Daniels photography portfolio online I loved his work & knew he would be the photographer for our wedding day. From the moment I contacted him he was friendly & accommodating. Daniel was just so professional, patient and kind both on the day and in the build up to the day. Daniel made both myself and my husband, our families, bridal party and guests all feel so at ease, relaxed and comfortable which allowed us all to enjoy the day & forget about the cameras. Daniel was so unobtrusive the morning of and throughout the day and many of our guests passed comment on the same. His photography style & skills are second to none. I cannot wait to see the final result yet know and trust our photos will be perfect. Thanks again to Daniel for his help. I have and will continue to recommend DK Photo to our families, friends etc. Such a true professional. Daniel was amazing!! We were impressed with a lot of our suppliers but Daniel stands out! From the minute we Skype called him 18 months ago from San Francisco( where we live) we felt at ease that he would do an amazing job! Daniel was inobtrusive, professional and a calming influence! My husband is very camera shy but was thrilled with the candid shots! His amazing shots speak for themselves!!! Thank you Daniel for helping us relive the best day of our lives ???? 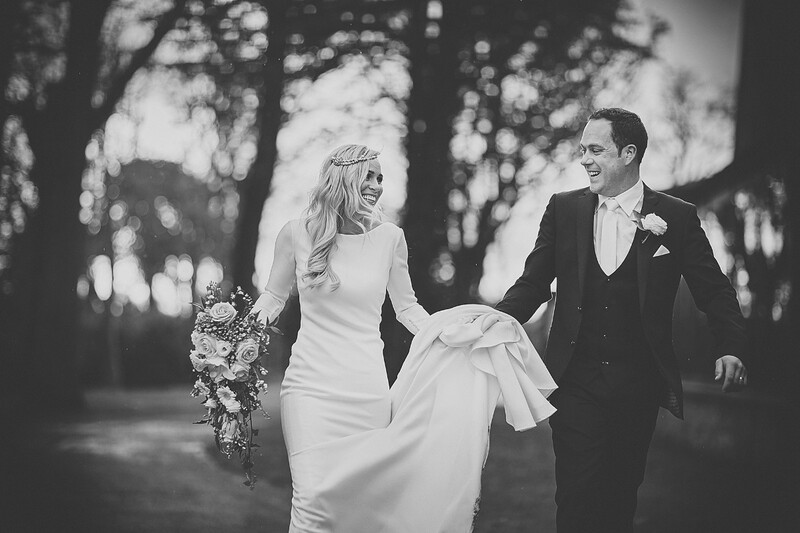 From the moment I saw Daniel's photos on his website I knew that his level of professionalism and style was exactly what I was looking for (after hours of trawling through the internet looking at photographers websites). I was afraid to get my hopes up as I thought that judging my his high standard of work he would be way above budget for us. I am a true believer in 'you get what you pay for' and I felt that Daniel was exactly that. He was fantastic value for money. He was a true professional from the very beginning to the very end. He was so discreet throughout the wedding day and the final product was of an amazing standard. We were so beyond thrilled when we received our wedding pictures. The photos really captured the emotions, atmosphere and essence of the whole day. We just couldn't have been happier with them. I cannot praise and recommend Daniel enough. I can guarantee that if you book Daniel for your wedding you can rest assured that he will do a superb job. Thank You for kind words! All the best in future! Daniel photographed our wedding recently. After researching for months what Photographer to choose, Daniel did not disappoint. His style of photography and talent is amazing. 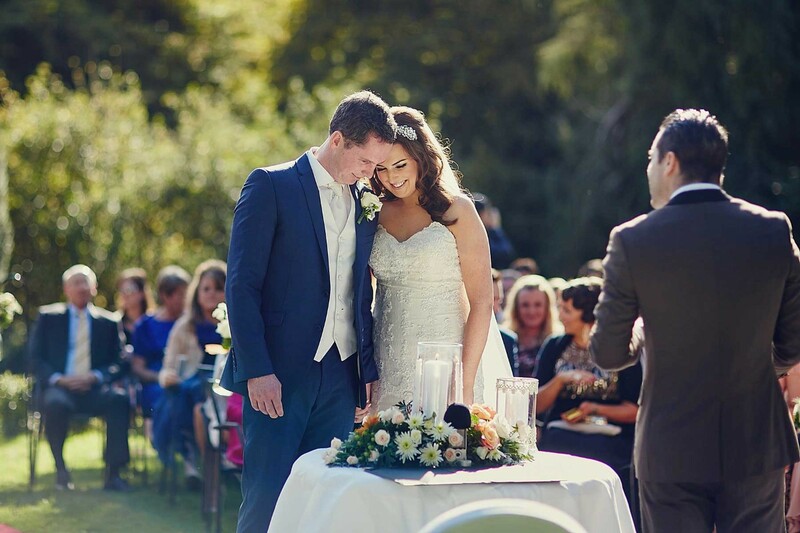 From the moment we booked Daniel to right up throughout our day, we had a fabulous experience. He was clear and concise on how he worked with us on our day, being an ultimate gentleman, professional and friend for the day. He is lovely and relaxed and works with real ease and execution. He can instantly build a comfortable rapport with people and you feel like you are in good hands. Many of other suppliers on the day commented Daniel was brilliant. I would recommend 100% Daniel to anyone looking for a photographer. Dear Daniel, As a bride travelling to a foreign country for her wedding I knew that I needed a photographer that I could rely on. Though I knew based off of previous reviews that Daniel would be good, on my wedding day he exceeded all of my expectations. The moment I saw Daniels photography portfolio online I loved his work & knew he would be the photographer for our wedding day. From the first time I contacted him, he was friendly & accommodating. Daniel was just so professional, patient and kind both on the day and in the build-up to the day. 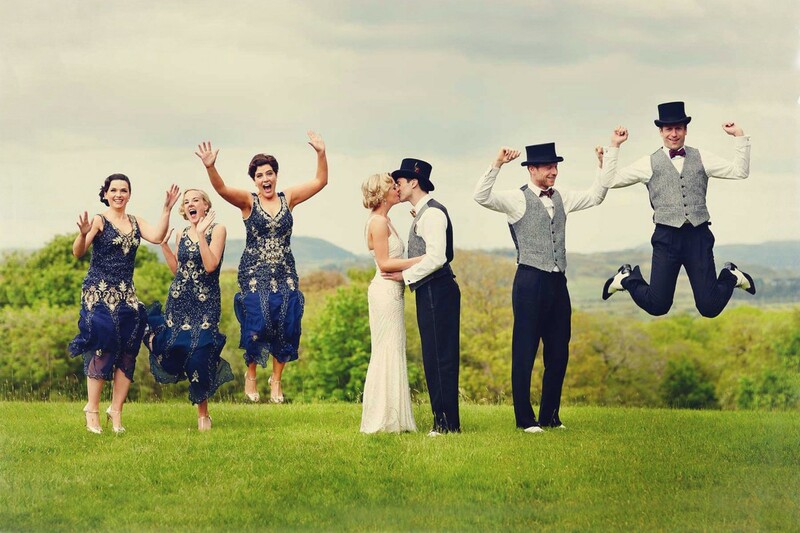 Daniel made both myself and my husband, our families, bridal party and guests all feel so at ease, relaxed and comfortable which allowed us all to enjoy the day & forget about the cameras. He was extremely professional, organized and friendly. His style of photography was exactly what we were looking for. I can't get over the quality of the photos that we have received and I am already struggling to pick what ones to select for the album as I love them all so much! We would 100% recommend Daniel to any upcoming wedding couple, you will not be disappointed on quality or service. Thanks again Daniel!! Mr & Mrs Rowe. Thank You so much, Aoife !!!! All the best ! I couldn't have been happier with the photos we got from Daniel. He captured the day so perfectly with so many wonderful candid moments. I don't even remember seeing him for most of the day which goes to show how unobtrusive he is as a photographer which is exactly what we wanted. I really can't praise him enough. Daniel is a pure professional and a gentleman. When you choose a person to capture some of the most memorable moments of your life, you want to be sure that you have made the right choice. You are reassured from your very first communication with Daniel that everything will work out as you expected. His presence almost goes unnoticed on the day but he nonetheless seems to be everywhere that you need him! 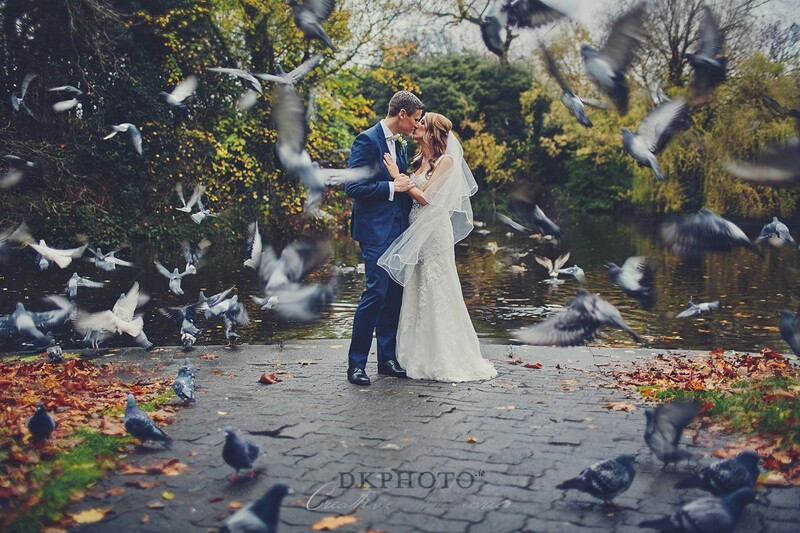 I would have no hesitation in recommending DK Photo to any future bride or groom. You won't regret it. 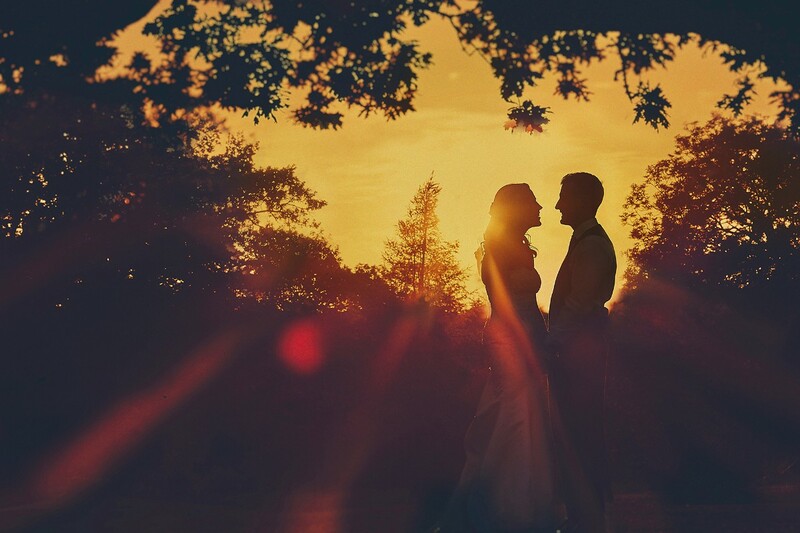 For us, the photographer was one of the most important choices we had to make for our wedding day (You spend so much time, money, and effort on this one day that you want to remember it forever, and your photos are inevitably how you will remember it.) 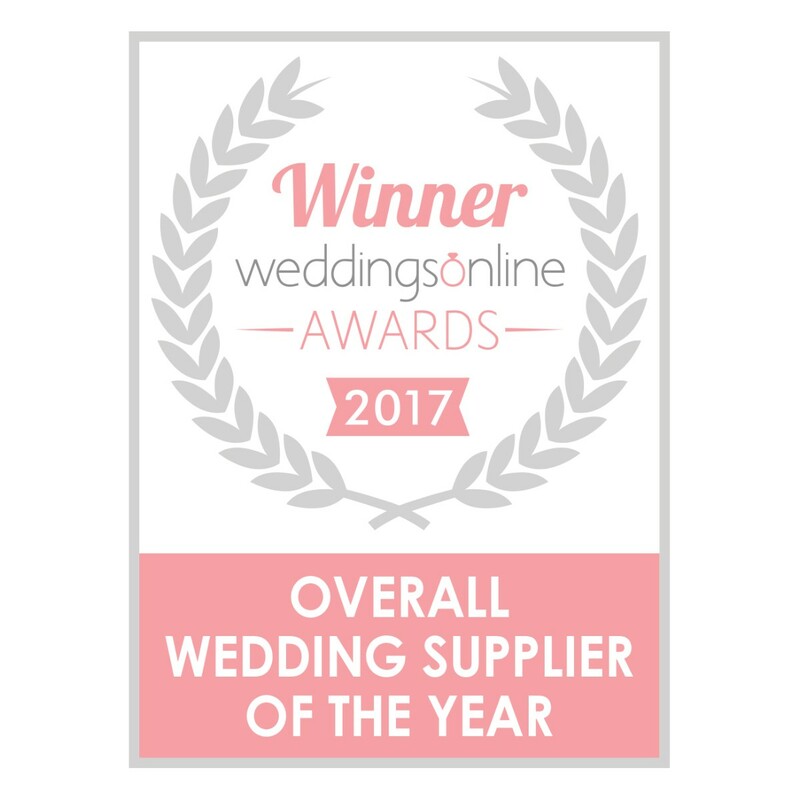 We spent months pouring over the sea of photographers out there, we met some at wedding fairs, found others online, and had some recommended by family and friends. 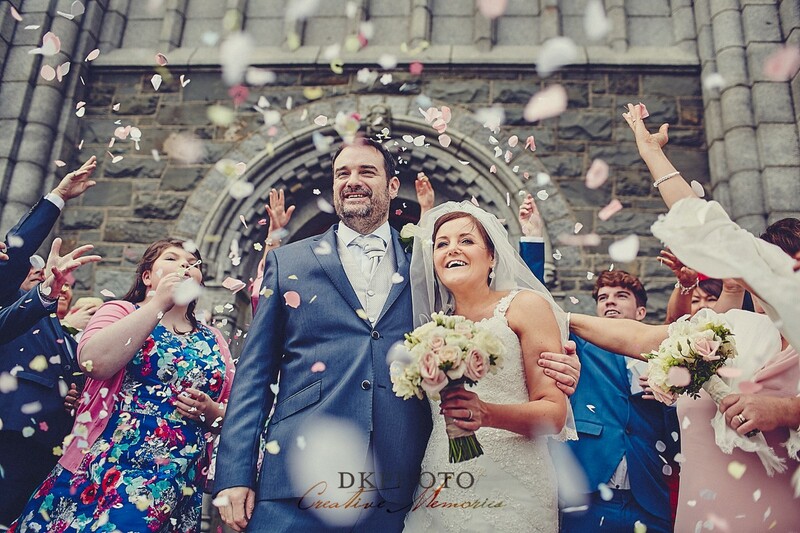 We came close to booking one local photographer when we came across DKphoto on a popular Irish wedding blog. 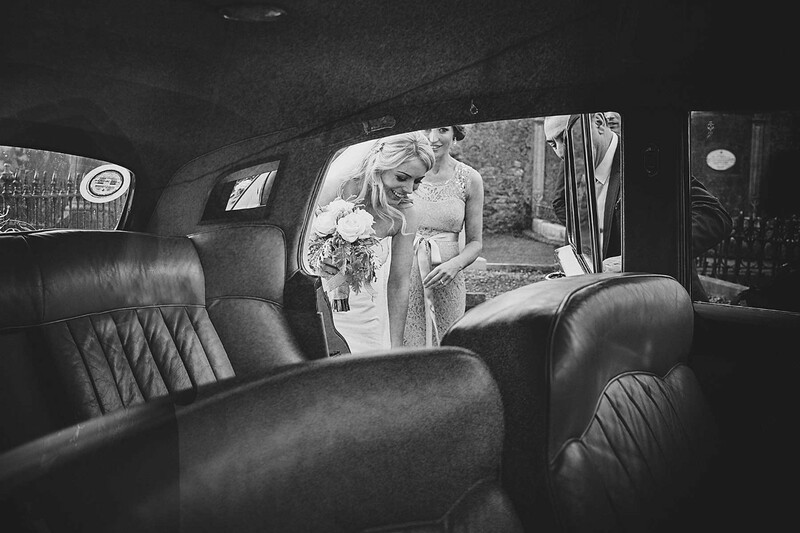 Daniel's photographs spoke for themselves and after looking through his galleries we contacted him for availability. Daniel responded right away and was immediately warm and accommodating. 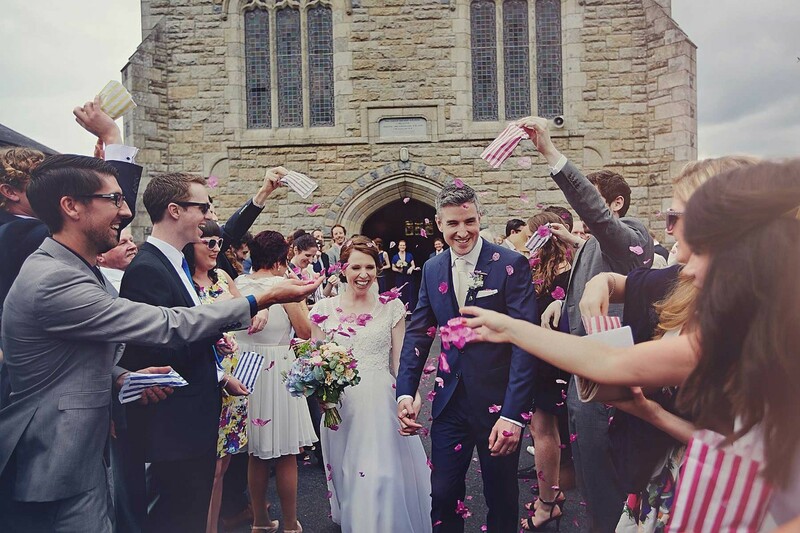 We were getting married in a remote spot in West Cork and although he was based in Dublin/Kildare he was happy to travel to us and immediately gave us a more than fair price to travel to our wedding (price transparency is so important when you're budgeting). 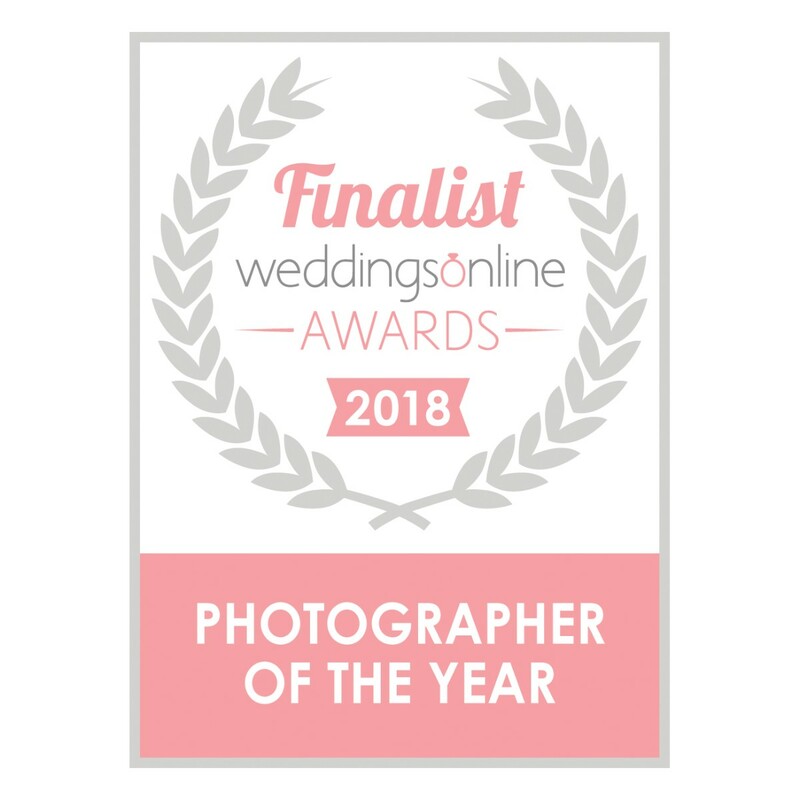 We had never met Daniel prior to booking and made the huge decision of our wedding photographer based on his photographs and online reviews... we were not disappointed. On the day of our wedding Daniel was professional, charming, and unassuming. We never felt like we were having our photographs taken, we were just enjoying our day with family and friends and it was all captured so beautifully. We had some family group photographs (which took no time at all) and some photographs of just us. Daniel guided us for these photographs without being intrusive so that we felt relaxed and at ease and the moments he captured were candid and real rather than forced and staged. 8 weeks after the wedding we received our wedding photographs (I believe this is longer than usual for DKPhoto and we were advised on the day of some very understandable circumstances that had caused a longer than usual delay in having photographs ready, so don't take it that this is standard as I don't believe it is. We had no problem in waiting, they were worth it). Our photographs are ones we will treasure forever. 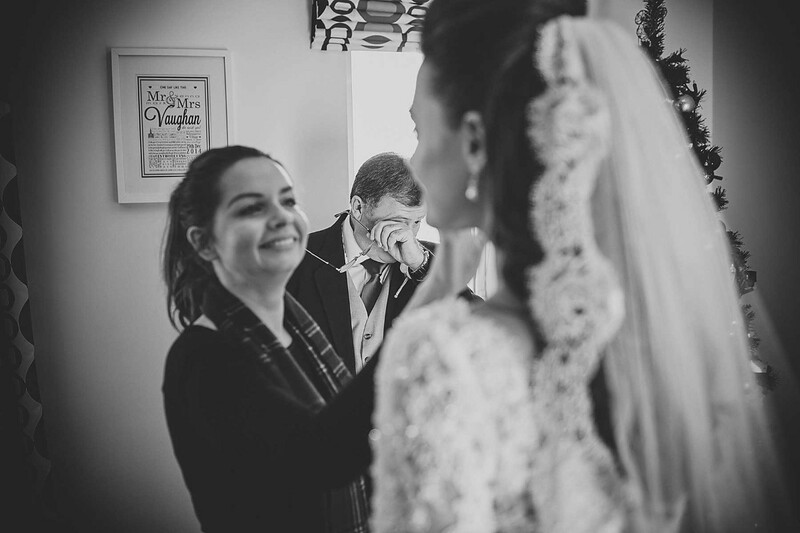 They capture parts of the day that each of us had not seen; fleeting moments of emotions that only a wedding day can conjure, an intimate glance, a cheeky giggle, a runaway tear.. and we have them captured beautifully to keep forever. 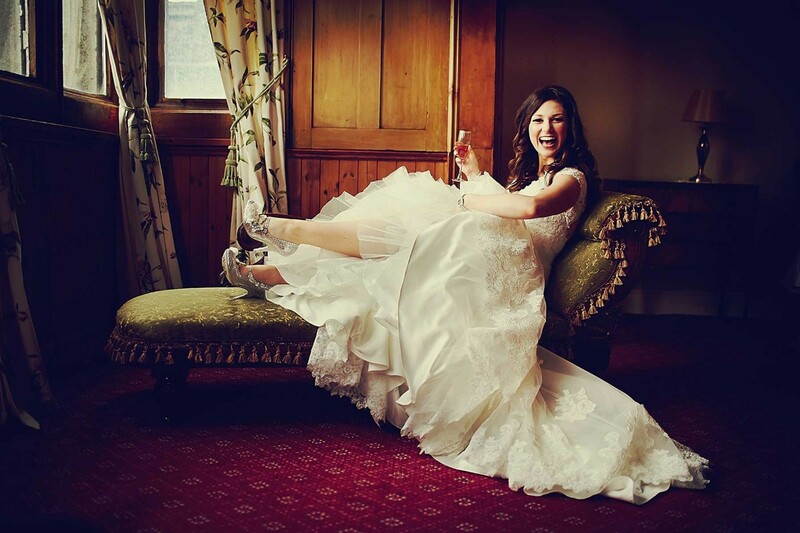 All in all, everyone wants a wedding photographer who can put them at ease on the day and takes great photographs. You can tell from meeting him that Daniel is experienced, talented, and loves what he does. If you're not sold by that, you will be when you see the photographs. We could not recommend enough. Thank You so much for such a lovely review !!! 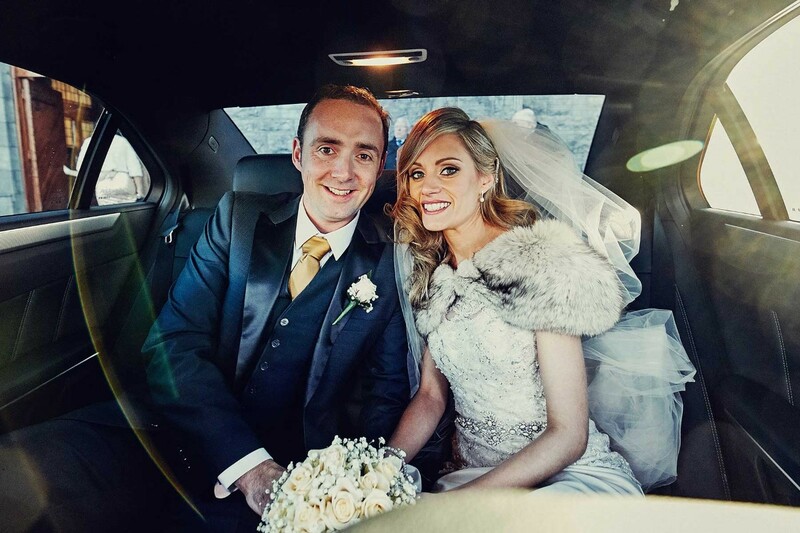 Eilis and Faolan thank You for Your testimonial ! There are not enough words in the world to describe how incredibly happy I am with our wedding photos. They are absolutely stunning and I can't stop staring at them! My heart swells with happiness every time I look through our collection. Daniel did an amazing job capturing our big day. Choosing a photographer from abroad can be worrisome and I am sooo thankful to have found Dkphoto. 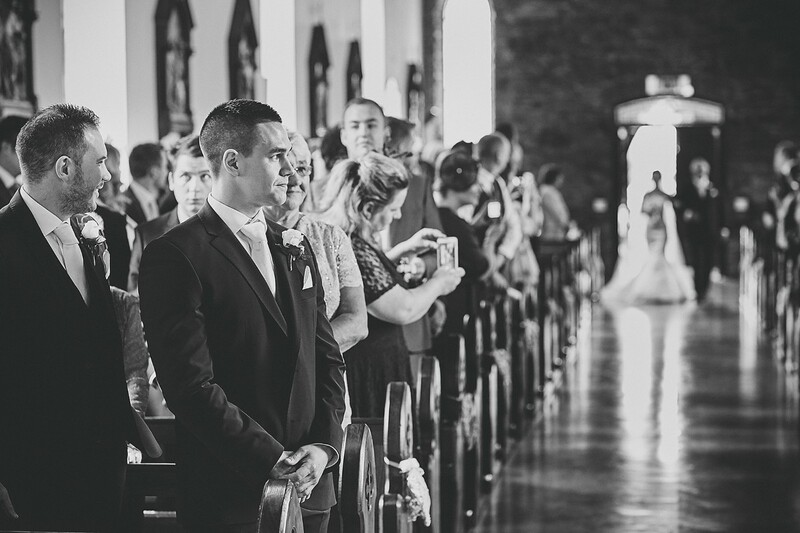 On our wedding day, Daniel instantly made us feel at ease and comfortable. He is super professional and a delight to work with. From the beginning he was super responsive to all our questions and how our contract would work. On the day of He started of by meeting with each of us individually, giving us his game plan and asking if there were any specifics we wanted from him. 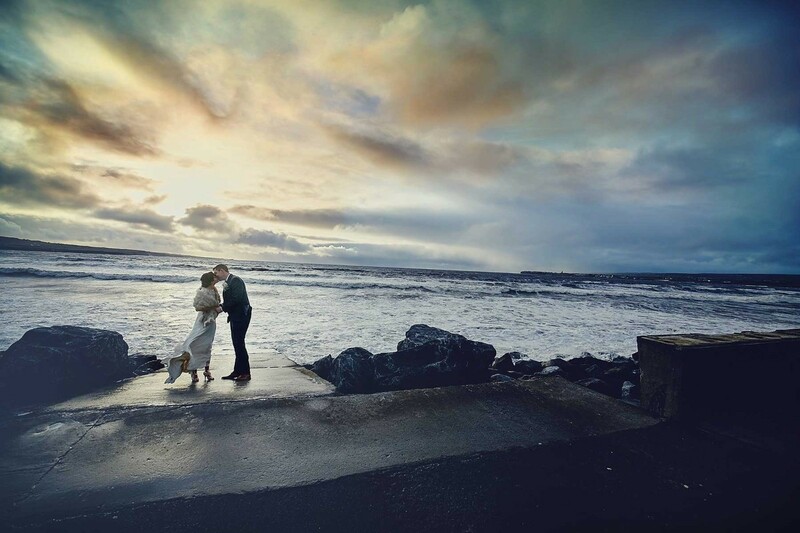 He scouted out the most amazing photo spots and planed the locations timely. Throughout the day and into the night we hardly even noticed he was there but somehow he managed to capture every special moment. The moments he captured are now memories of our day we can cherish forever. Book with Daniel, You will not be disappointed with his work! Just received our engagement shoot photos and what can I say but wow! Daniel recommended a beautiful location to get some autumnal shots and even met us the day after he came back from holidays. 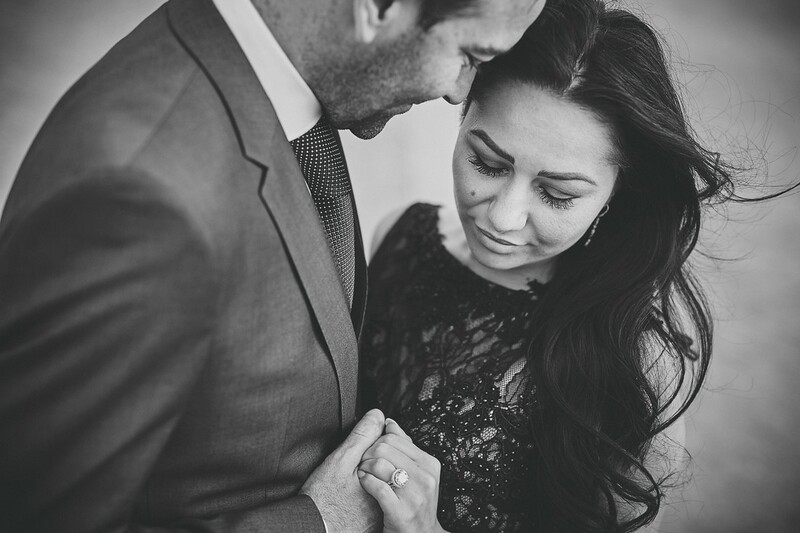 I'm so excited for our upcoming wedding and Daniel capturing even more beautiful memories - I know we're in safe hands. Roll on May! 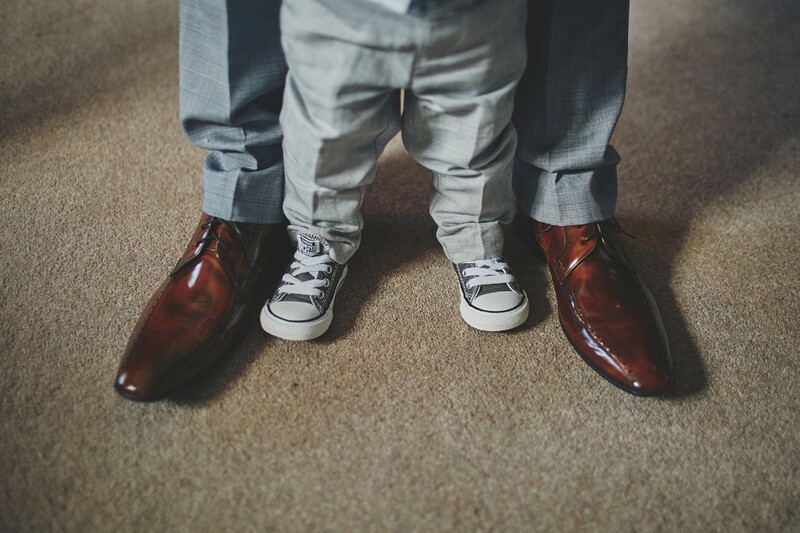 We could not recommend Daniel enough as a wedding photographer. From our first meeting we were put at ease. His collection of work was very impressive. Daniel himself was so obliging and friendly. He was always happy to answer any query we had. On the day itself he was always there but never took from our day. His eye for a great picture is fantastic. We were blown away by the finished product. The colours, the way he uses the surrounding environment and his ability to capture a special moment are outstanding. Daniel is a very talented photographer who provided us with an excellent service at our wedding. He was so unobtrusive and imaginative, and captured many beautiful moments - with his documentary style the personalities of our friends and family really shine through! Just received our wedding photos from Daniel and they are everything we hoped for and more! Daniel was so professional on the day,and instantly made us feel at ease. He took some of the most amazing shots without us knowing and these are our memories of the day we can cherish forever! We would have no hesitation in highly recommending DKphoto to future couples looking for an amazing photographer for their special day! Daniel was fantastic, so professional and the photos are simply amazing. He captured every single moment and laugh, and the atmosphere and fun shines through in each one. He's also fantastic value for money with no hidden extras. Highly highly recommend! It was a fantastic day !!! Absolutely amazing !!! I really cannot say enough about Daniel, he was amazing on the day, very calm and reassuring in the morning madness and got all the photos that we wanted. Beautiful memories of our special day. We booked Daniel for our wedding back in April and we could not have been happier with our decision. He was a pleasure to deal with, always professional and friendly. On the wedding day he made everyone feel at ease and the photos we received are more than I could have hoped for, they are amazing! I would highly recommend him. Thank you Daniel. Superb experience working with Daniel from the initial correspondence to final delivery. From the outset, Daniel was prompt and clear in all communication. Everything was handled with great efficiency, something that was carried through on to the Big Day itself. Daniel is true gentleman. His preference for photojournalism ensures everything is done with minimal fuss and disruption. I was particularly impressed by how seamlessly Daniel and our videographer worked alongside each other. There was great respect, space and synergy to the way everyone worked together. That is only possible where there is utmost professionalism. The post ceremony photos were conducted again with the minimum of fuss and in good time. Finally, the delivery of the end product was everything we had hoped for. From the exquisite detailing of the delivery package to the content itself, we couldn't be happier. 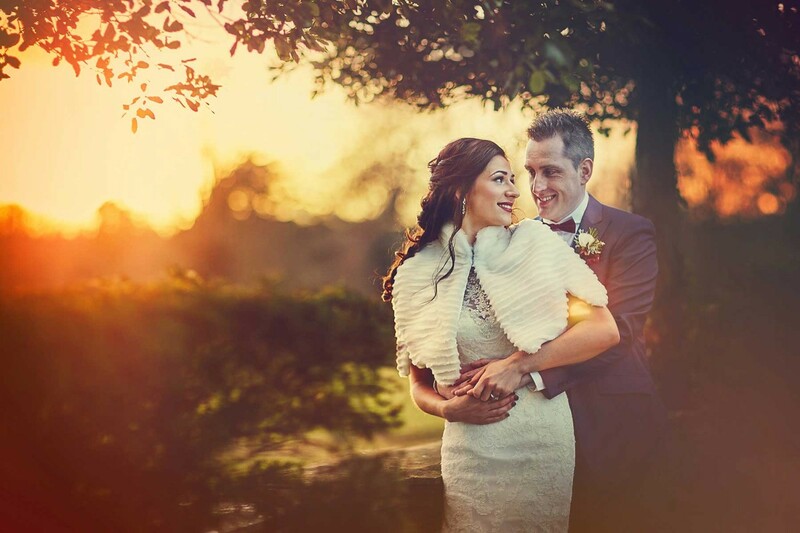 I heartily recommend Daniel to anyone considering a photographer who can capture the essence and 'feel' of your day. The only difficulty you will find is choosing which photos to develop and display on your wall. Outstanding! We cannot thank Daniel enough for the amazing job he did for us on our wedding day. From the first day we got in touch with Daniel he was nothing but professional and on the day he completely put us at ease. He captured every moment and the results of his work are breathtaking photographs that tell such a natural story of the most amazing day of our lives. Sarah Jane Thank You so much !!! Daniel is an amazingly talented photographer and a wonderful personality to have in your company on your wedding day. He is highly professional and efficient. Our wedding photos are just amazing. I would highly recommend Daniel. 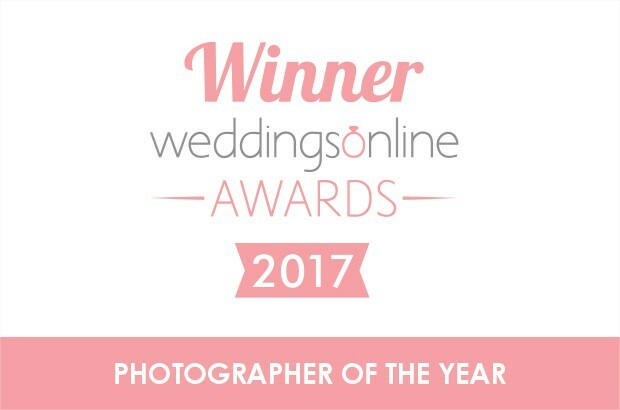 He is a very deserving winner of the weddingsonline wedding photographer of the year award and the overall wedding supplier of the year award. We were delighted with him! Daniel did a great job for our wedding. He was friendly but also unobtrusive. Neither of us love having our photos taken and Daniel managed to capture some lovely moments without us noticing that we were being photographed. Our photos are gorgeous and we have loved looking at them. Thanks Daniel! Maria and Liam Thank You !!! Daniel was the complete professional and an absolute gentleman - couldn't recommend him highly enough. His work was top notch and we are delighted with the final product. Where do we start! We couldn't have asked for more from Daniel - he is so professional, and such a calm person to be around, on what can be a hectic day! He is so discreet, we really never noticed him on the day and all our guests have said the same, commenting on how subtle and unobtrusive he is. We are so delighted with how our photos turned out, amazing pictures to let us relive our day - it will be difficult to pick our favourites for the album! He was such a pleasure to work with, we really cannot recommend him enough!!! Thank you Daniel! From my very first email right up until the delivery of our photos Daniel was super responsive! I was planning from abroad and such responsiveness just took away so much stress. Daniel is an absolute gem of a photographer! He is a kind, gentle, unobtrusive photographer you would hardly notice he's around. He got some unique snaps and the craic and laughs that weas had on our big day shines through each and every one of them. Our guests keep complimenting on how pleasant Daniel was and how fabulous his work is. Our entire day was magical and even though we can't relive the whole adventure over and over, knowing that we have all the fun and emotions immortalised - you can clearly sense all the fun we had - just makes us so happy and it is as if we were able to relive it all. A true gentleman! I would recommend Daniel a million times! Huge thanks again it was fantastic! Daniel was fantastic to deal with from start to finish. He was organized and helpful in the build up to our big day and once it arrived he was extremely friendly, professional and patient. All of the girls felt at ease during the preparations with him around and he got fantastic pictures without being intrusive. We hired Daniel due to his documentary style shots and we were not disappointed. We hardly noticed him on the day itself unless we needed him of course. From the start Daniel was brilliant to work with. Getting back to my emails straight away. On the day you wouldn't even know that he was there which was perfect for my new husband who hates getting his photo taken, he really put him at ease and he even said he was a 'grand fella'. My photos were more than I could have wished for and I'm absolutely delighted with them. I had them two weeks after the wedding which I couldn't believe, thought it would take months. I would highly recommend DKPHOTO. 5 star all the way. ?????????? Daniel is amazingly talented! We were so blessed that he was available for our wedding date, and we now have the most amazing photos that we will treasure for a lifetime! Daniel is so professional, genuine and we simply could not be happier with the service he provided for us! We can't recommend Daniel enough!! From the first contact we had with him he made us feel comfortable, relaxed and was very open to our ideas/suggestions. Then on the big day he was professional, courteous, unobtrusive and great fun! We knew that we wanted a great photographer for our wedding (who doesn't?) but we also wanted to be relaxed and spend time with our guests. From our point of view the balance was perfect - we had time to take pictures/portraits by ourselves, with family and with friends, and still get back to the party in good time! We received our photographs recently and we are both over the moon - the shots are spectacular. 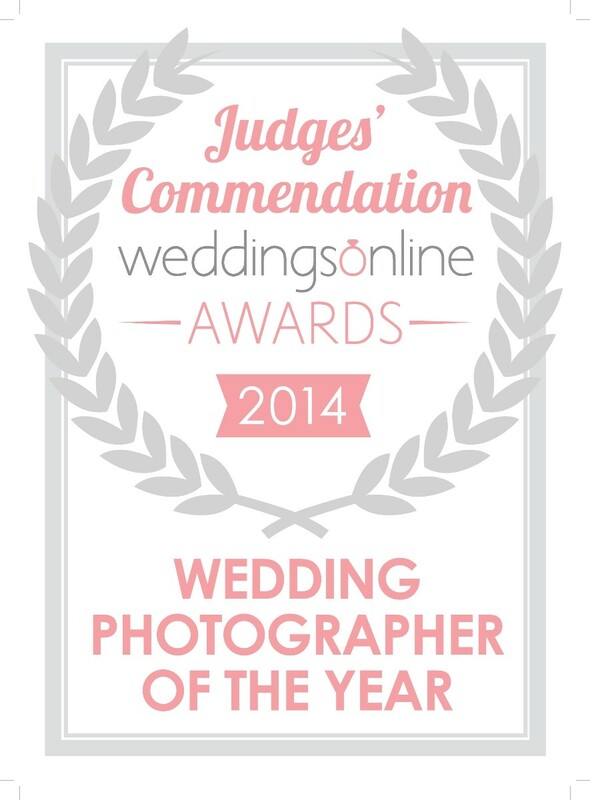 If you're thinking of booking DK Photo for your wedding - we would highly recommend him! Also the PhotoBooth from Daniel/DK Photo is a must have - some of the funniest pictures I have ever seen! Thanks Daniel - you were simply amazing! We just love our wedding photos! Since booking DKPHOTO, we never worried about how they would turn out. We did not think twice after seeing some of Daniel's work first hand. The natural shots blew us away. We had been to a couple of weddings before ours where Daniel was the photographer, and never even noticed he was there! It felt the same on our day. He took lots of great photos, and was very unobtrusive in doing so. Looking at our photos now, we cannot believe the shots that were captured and how many there are. Daniel captured the very special moments, and also very funny ones! The photos really brought the day back to life for us. I will continue to recommend Daniel to our family and friends - he is very professional, friendly, efficient, and dresses smart for the day too! Thank you Daniel. The week we got our photos from Daniel was such an unproductive week for myself, my sisters, and my mother - we gazed at the photos 12 - 13 times per day for the entire week and more..... we were blown away by them! I have been an amateur photographer for years and have always loved taking photos of people - so choosing the right photographer was very important for us. I had scoured the internet for months looking for wedding photographers - read reviews, looked at online portfolios, got recommendations from friends - but when I found Daniel, I knew the search was over. He was so calm and easy going – it gave me great confidence in him from the word Go. We had a small wedding - only 32 people and he was almost invisible... but still got every shot we had request… without too much effort. However, it's the quality of pictures that drew me to DKPHOTO - they perfectly capture the feeling on the day, the expressions on faces, the little glances, the small details - Daniel is a true professional and we wouldn't hesitate to recommend him to any bride and groom - his work is fabulous.... your search is over - book Daniel, you'll be thrilled with his work. We could not recommend Daniel highly enough!! His photos are always fabulous and his work really stands out from the crowd! He's very relaxed on the day too & there was no fuss. We are absolutely thrilled with how our pictures turned out & we have gotten so many compliments already :-) We can't wait to get our albums.. picking which photos to include will be the tricky bit! 10 out of 10 from us???? I would highly recommend Daniel as your wedding photographer. We choose him because his photos show a unique vision that he has. He sees things that others don't, his use of colour and light is beautiful and artistic. His manner is patient , quiet and kind, yet he was fun and professional on the day; a hard balancing act! He was so unobtrusive on day, but he was always readily available for any random snap we wanted him for. We are delighted with the photos, and the 15 minute slideshow with music (which was an unexpected surprise; great to be able to share with friends instead of showing them the 600 snaps!). Looking forward to the albums being made now, which I am sure will be of the same exceptional standard as the rest of Daniel's work. Thanks Daniel. The very best of luck to you in the future - you deserve it. 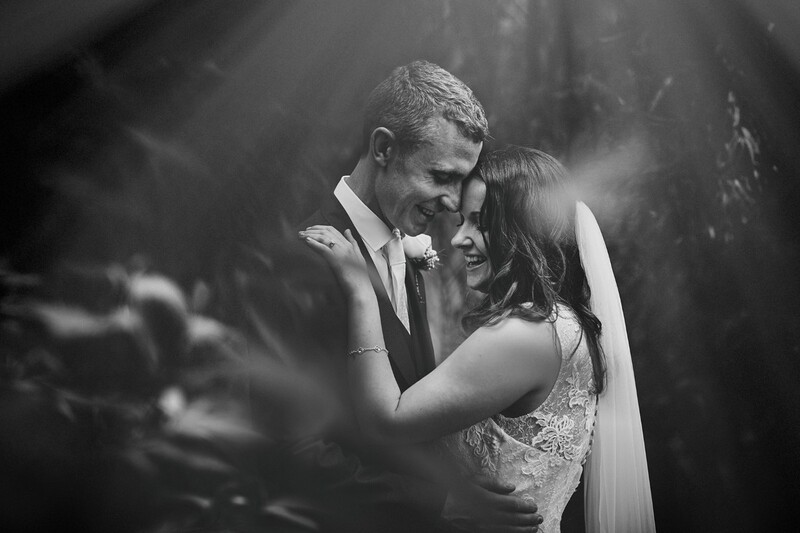 Daniel came highly recommended from friends who had had him as their wedding photographer and he didn't disappoint! We absolutely love our wedding photos and have no clue how will we pick for our wedding album. Daniel was very professional on the day and most of the time we didn't actually know he was there. My favourite shots are those where he caught us off guard and in the moment. I couldn't recommend him highly enough. Thank you so much Daniel! You don't need to look any further for photographers because Daniel is the best in the business. After scrolling through numerous pages on Google trying to find a photographer for our wedding, I luckily came upon his page. We were trying to meet him prior to our wedding to discuss a plan but with hindsight there really was no need. He is at the top of his game and knows exactly what shots to take and when to take them. His use of natural light is amazing and this is what sets him apart. He gets all the natural shots you could ever want and blends himself among the crowd quietly getting those shots in a split second nobody else could ever get. He's a really nice guy, very personable and obliging and any requests you have for him he will do. He is there at the very beginning of the day right down till the first couple of dances. We are so happy with the photographs he produced and count ourselves very lucky to have had him as our photographer on our special day, couldn't recommend him enough. Thanks so much for everything Daniel!! Thank You soooo much ! 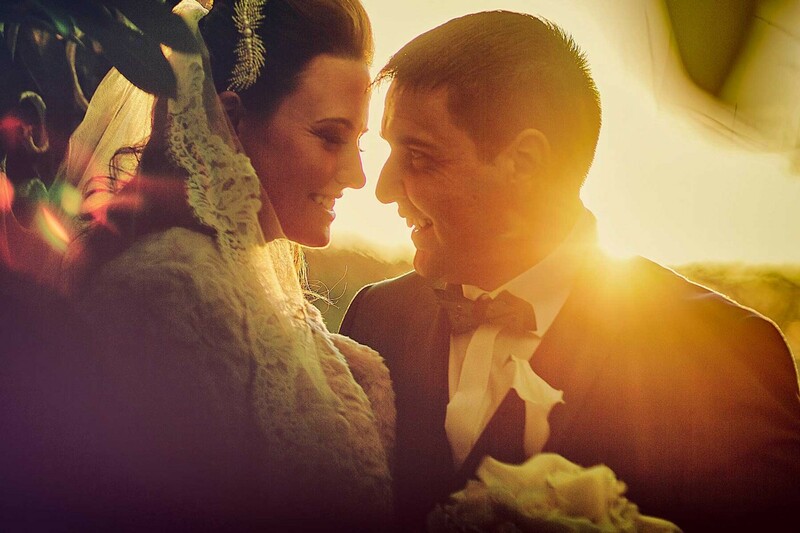 I wish You all the best Beata and Cillian ! 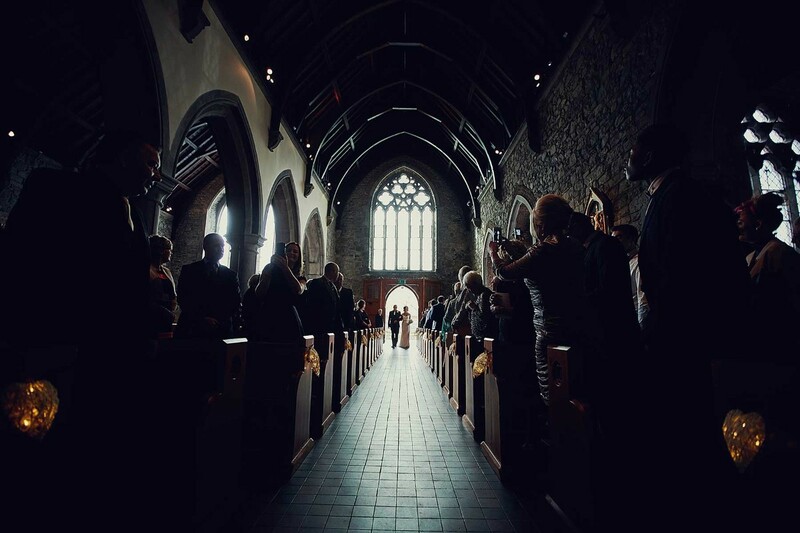 My husband and I where planing our honeymoon in Ireland and we wanted to have a wedding section during the trip to capture the special moment. I started searching online for a photographer and I found Daniel wed-side and inmidiately fell in love with his photos. I email him and he replied to me in a bit, he was extremely professional and patient with all my questions about the location ;) When we finally meet I was so please. Daniel was so responsable and warn. He made us feel super confortable. In a word he was GREAT. Two days ago he sent us the photos and I can express how beholden and happy we are. I would highly recommend you to work with him, you will have a blast. Daniel!! Thank you, thank you, thank you, you genius!! I can't believe our photos were ready so soon, I would have thought it would be at least another month! I got the email to say our photos were ready last night when I was in work, to say it was like the night before Christmas waiting to get home to look at the photos with Evan is an understatement, I almost burst with excitement and needless to say, you did not disappoint - they are amazing, the moments you captured, the light, the details, everything - you didn't miss a beat. Everyone commented on the day and since as to how unobtrusive you were - you were you were like a ninja, so many people have told us they didn't even notice you taking photos. A word has to be said on your easy going nature, you made us feel so at ease throughout the day, I was delighted when you asked us to take 5 minutes for photos in the evening light (which turned out beautiful by the way, some of our favourites) - providing us with a bit of calm and a moment to ourselves. Also, I must mention your wedding dress fixing skills - you would give any Maid of Honour a run for her money. It was such a joy looking through the photos, I had a pain in my face from smiling, you captured such wonderful memories for us in such a unique way. We are forever grateful and can easily say you were better than the best, a true professional with an amazing talent. Honestly, choosing you as our photographer was one of the best decisions we made for our day and we couldn't be happier with the photos. I will be recommending you to everyone I know! Thank you again!! Thank You Allida and Evan ! We got Married in Dublin in August 2016 and Daniel photographed our special day. The short review is that he did an outstanding job. 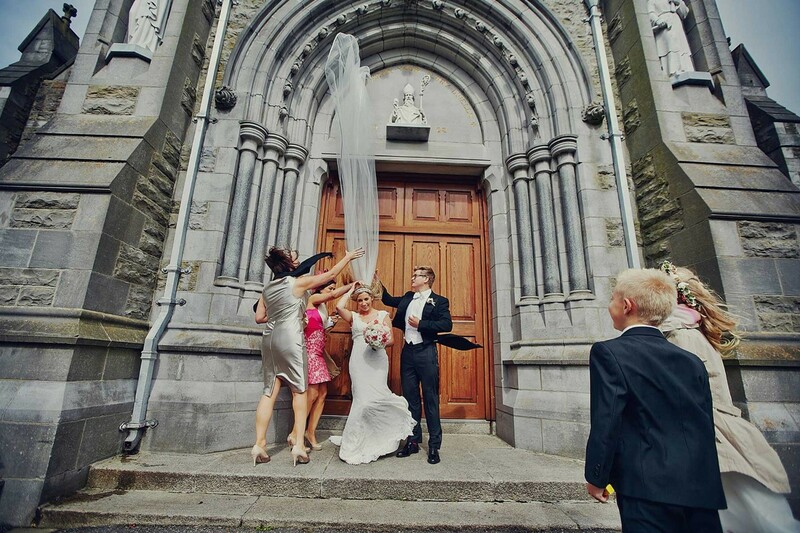 The longer story is that we don't live in Ireland and so we thought that organising our wedding day from abroad would be hard because we did not have any connections or recommendations for providers (most of our friends here have long been married).S o we started looking around online and we immediately fell in love with Daniel's website and his instagram account. As daunting as it might be to agree with someone online to photograph your wedding, we have no regrets. Daniel was very responsive from the very beginning. He always replied very promptly to our emails and on the day he was there well ahead of time. He was really relaxed, kind and very patient, which is what you need on your wedding day. We didn't have many requests for specific pictures, but Daniel attended to every single request, and then some. 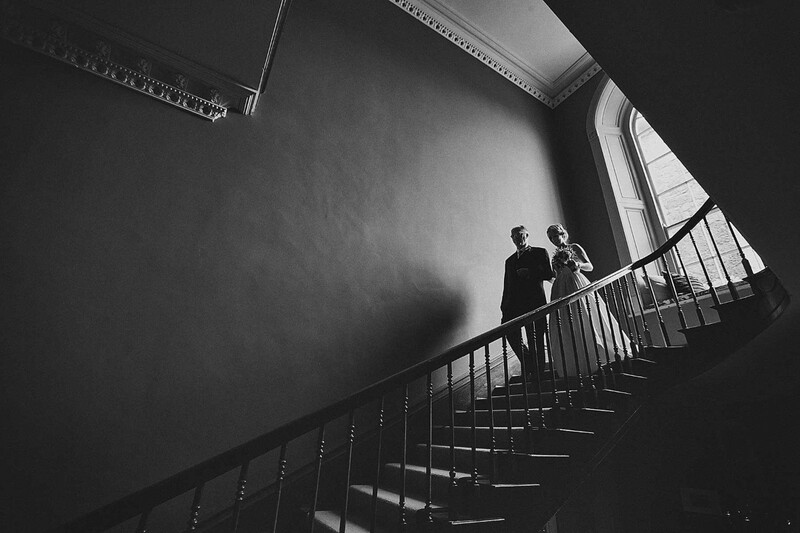 On the spur of the moment, I asked him to photograph my wedding dress hanging on the staircase of the Shelbourne. 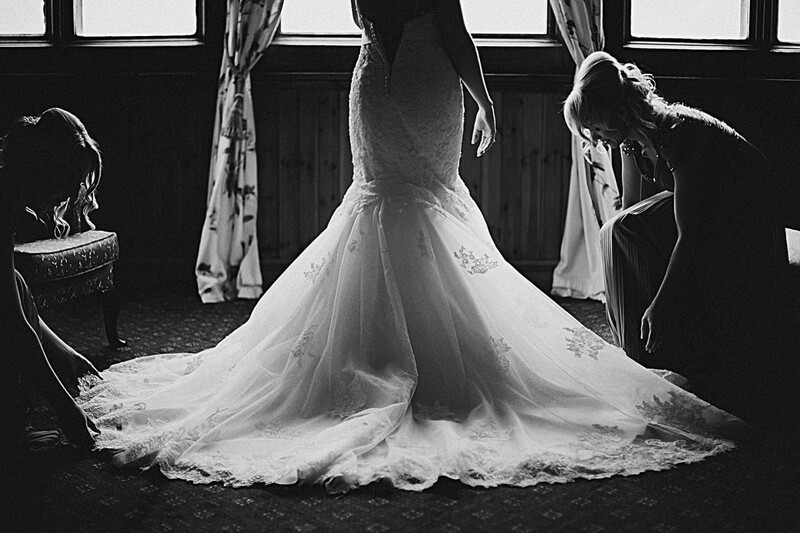 The photos of the dress are simply stunning. The pictures he took are all amazingly beautiful and exceeded all our expectations. He was able to capture very well our style and the atmosphere on the day, which is a skill when you only meet the couple on the day. I didn't have bridesmaids (because it would have implied organizing things between 3 countries), yet Daniel made sure my dress was always picture ready, thus showing ihs patience and care towards his work and us. After the wedding, Daniel continued to surprise us with his professionalism and prompt responses to our requests to see the pictures. We could not have asked for a better photographer. The photos are just stunning (have I said that before?!). 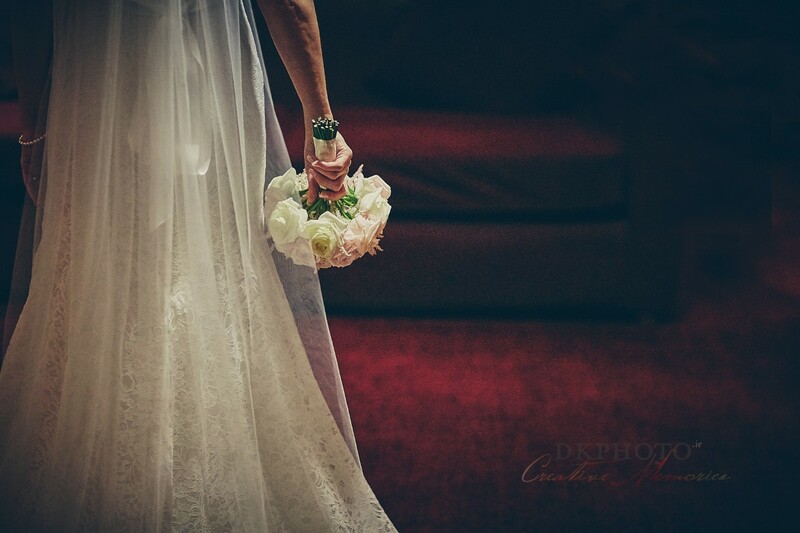 Daniel has captured our special day so elegantly and professionally. All the photos he took capture so well our wedding and will be a great memory in the years to come. We now want to order the album which also looks so magical. 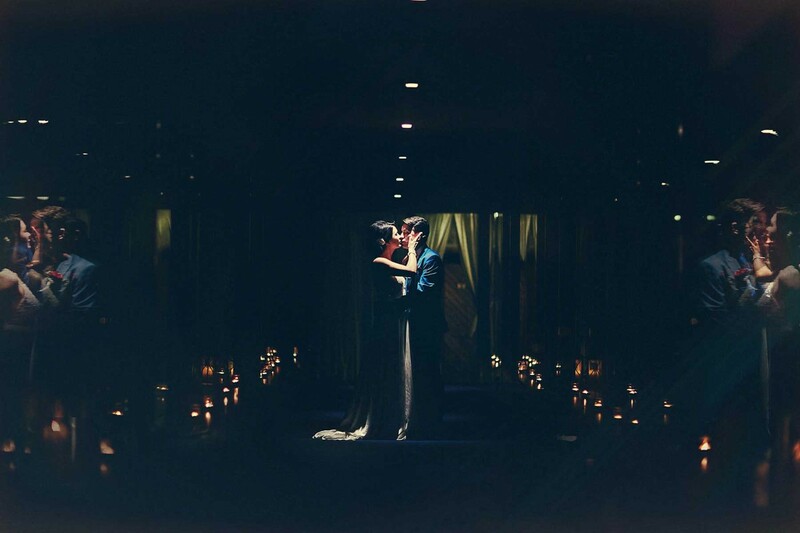 Thank you Daniel for translating our wedding experiences and memories into beautiful photos. Cristina and Mark Thank You ! Daniel 100% lived up to all of the wonderful reviews I read about before we booked him and to the recommendation of our friends Maria and Kevin whose wedding he had done before ours. Most importantly the photos are fabulous; he got all of the family pictures we had asked for, as well as so many in the moment shots of us with family and friends throughout the day. Daniel himself was professional, friendly and extremely helpful. He completely blended into the day and so many people commented on how they didn't even notice all the photos being taken. There was no fuss at all with Daniel, we got our photos done early in the day and had plenty of time to chat to everyone before we went in for dinner. Communication in the run up to and after the wedding was excellent. If you're thinking about booking Daniel, do it...if he's free! 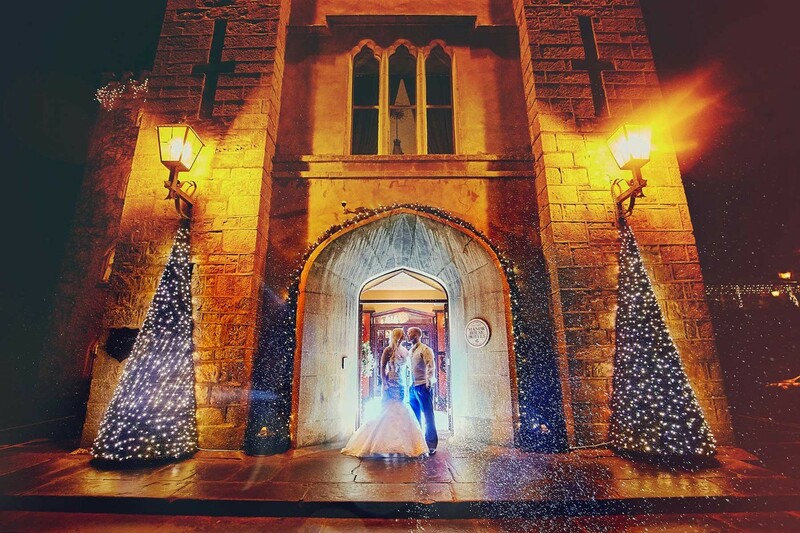 Hi Daniel, We just wanted to say thank you so much for the absolutely stunning photographs from our wedding. We are honestly so delighted with them, you captured so many precious moments that we will treasure for the rest of our lives. The professionalism and quality of the photographs are amazing. we are so excited to share them with everyone. You really put us at ease on the day and were so patient with us. Cannot express how happy we are that we choose you for our big day. Thank you for everything. We will definitely be recommending you to everyone we know. Nicole and Scott Thank You ! Hi Daniel, Thank you so much for the photos! They are beautiful and captured everything from our day. I’m not normally a fan of photos but you made us so comfortable on the day and we were able to spend time with our guests like we wanted and still got amazing pictures. Please also thank your wife for us for the work she does behind the scenes and the attendants at the photo booth, it was a huge hit with the guests. I can’t wait to share the photos with our family and friends! Carine and Kieran Thank You ! Absolute pleasure having Daniel as our photographer he is such a quiet worker and so professional. Really friendly and warm to talk to. Mary Beth Thank You ! I don't even know where to start, so I guess I will start with saying that Daniel was an amazing photographer. The images he captured of our wedding day are breathtaking and really illustrative of our wedding day. What's most impressive is his ability to capture so being different aspects of the day. Further, he had great ideas about how to best capture us and our family on film without being intrusive. My favorite thing though was his fun and adventurous nature. He scoped out a few different places for us to take some amazing outdoor picture, and was more than happy to follow us down a rocky beach to get images of us right next to the water. In terms of working with Daniel, he was great. He was very responsive to any and all communications and was well prepared with a list of "must-haves" for the day. Also, he was able to get us our photos in a relatively short window of time, which was great! Overall, I would highly recommend DK Photo to any bride. Daniel captures all of the special wedding moments that you want on film and he is great to work with! 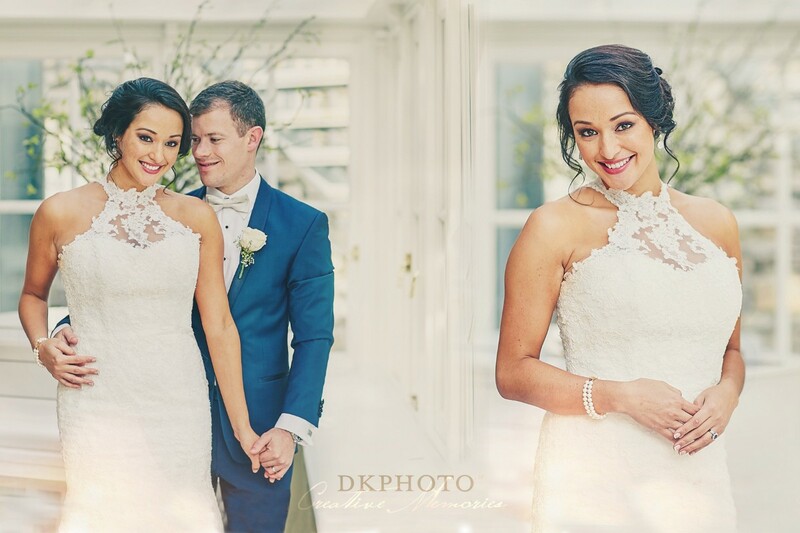 I would like to thank Daniel from DK Photos for an amazing experience on our wedding day. From the moment he arrived early on Saturday morning to late that night we felt so comfortable and relaxed in his presence. We didn't even notice him for most of the day but when we saw the photos afterwards we were blown away by the quality and variety of what he captured. He did not miss a thing and let us spend as much time as possible with our friends and family. When we saw the photos and slideshow after the wedding we could not have been happier. He really is a genius behind the camera. Also I would like to thank him for his professionalism from the very first email we sent enquiring about our wedding. He was so easy to deal with the whole year and hassle free..we would highly recommend Dk photos and we would do it all over again if we could!! Thanks Daniel. Sharon and Michael - Thank You ! Absolutely delighted with dk photo. From the day we first got in touch to the time he arrived on the morning, to the time we received our photos he was so professional and his work is outstanding. I would recommend dk photo to everyone looking for amazing pictures of their day. Gemma and Kieran Thank You ! Daniel is a truly talented photographer, loved all our wedding photo's. Captured every part of our day, would highly recommend his services! One of a kind, such a prompt service and the beautiful slide show was fantastic! Can't thank DKPHOTO enough. The pictures were amazing and he was great on the day. 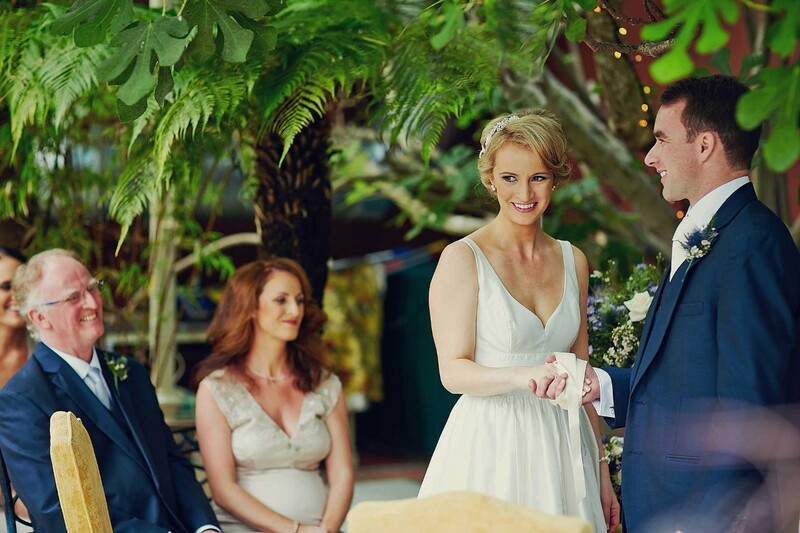 Honestly months since the wedding and even now looking at them he captured the day so perfectly. Looking at the photos it still takes me immediately back to how excited and happy we were. Thank you again for persevering despite the weather and my muddy and very wet dress. It was a pleasure to have Daniel doing our Wedding photography. He was so friendly and laid back which suited our style perfectly, while also being extremely professional. We would have no hesitation recommending him. It will be difficult to choose from all his great photos to make our album, as they're all brilliant! Daniel was fantastic, we really loved the photo's, very natural and creative. Also, he was very professional as we did not even notice the photo's being taken. He managed to capture some wonderful moments. Would Highly recommend Daniel to be a part of your special day! Hi Daniel, Thank you so so much for taking such beautiful wedding photos for us, we absolutely love them. You really captured all the special moments of the day and looking through them, brought back great memories (and a few tears). 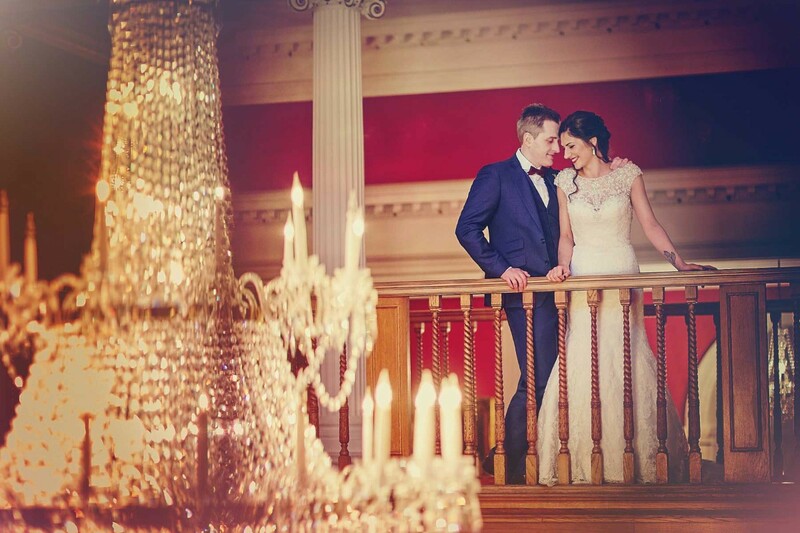 You are a very talented photographer and we were honoured to have you photograph our special day. We really cannot thank you enough. Paul and Sarah - Thank You ! Daniel was very responsive and professional from the moment we first emailed him to inquire about his services for our big day. 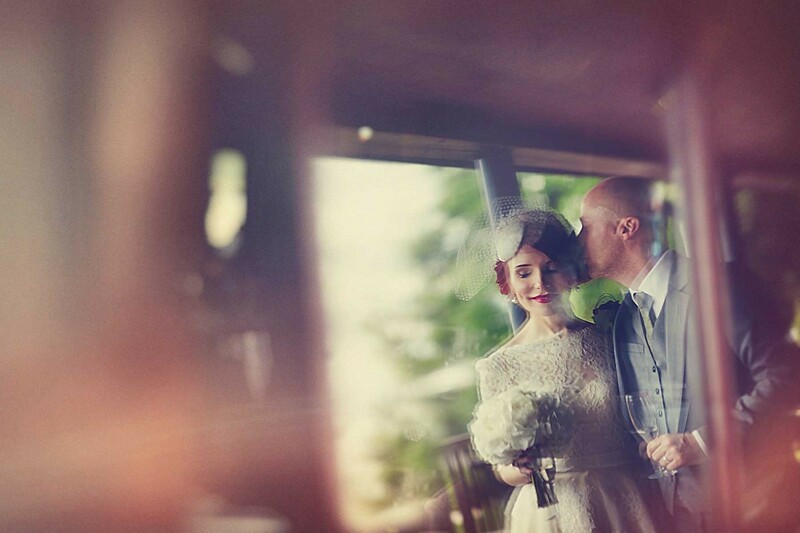 We loved the slide show samples that Daniel emailed us and his style of photos were beautiful so we were sold. Daniel was fantastic on the day, very unobtrusive and happy to accommodate all of our photo requests. We don't even remember him being at the ceremony until we saw the fantastic photos he had captured! It really was fantastic to share our day with such a talented photographer. He showed us some of the shots he was capturing during the day and we were blown away by them. We couldn't have been happier with the photos that Daniel gave us and the slide show was an added bonus especially since we were able to add our music from our ceremony to it. The photos were so beautiful and really captured the happiness and joy of the day! 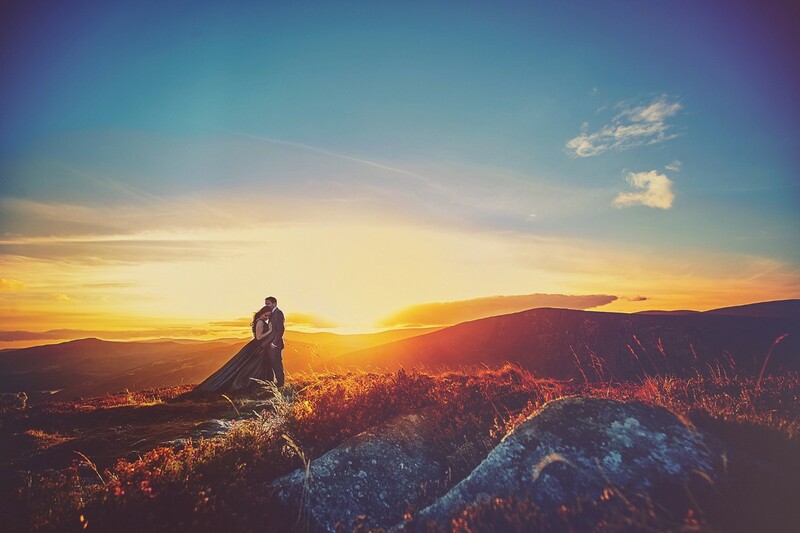 Daniel captured our day exactly how we envisaged it, free, gentle and laidback in the Wicklow Mountains. He was so unobtrusive and relaxed, very easy to work with. We were amazed with how beautiful our photographs are. Wow. We love them. Daniel was very pleasant and professional to deal with from before I booked him right up to getting our photos! He is very discreet on the day so you forget he is even there! He captures some lovely unpossed natural moments throughout the day of you and friends and family! He was great to deal with. Lots of natural photos. Some set just right to get the best of the scenery, sunset etc. Very easy to deal with, punctual and fair. Well worth checking out. We really can't recommend Daniel enough. On the day, he was very discreet and professional. We are amazed at how well all the photographs turned out and we absolutely love them. I chose DKPHOTO after seeing photo's on Facebook. I was worried about choosing my photographer based on this but I just kept coming back to DKPHOTO because I loved the photographs, and knew they were what I wanted. So I took the chance and I am so glad I did! 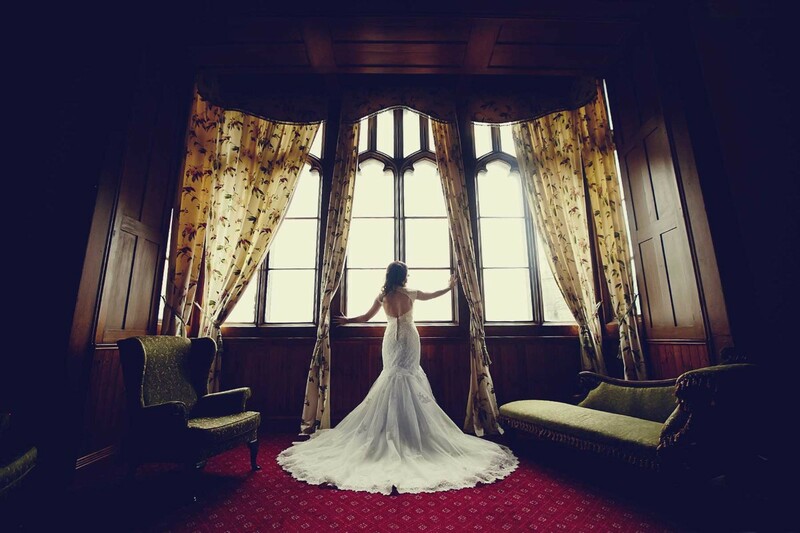 Daniel is a hugely talented photographer, he made sure he knew what we wanted and captured everything perfectly. He was a total professional on the day and we hardly knew he was there. He was fantastic with the children involved and got great photo's of them, which is near impossible with young children! We absolutely love our photographs, they are exactly what I would have hoped for and more. I would recommend Daniel to anyone getting married - you will not be disappointed! I cannot praise him enough. We booked Daniel for our wedding on December 2015. He was brilliant with dealing with any queries we had leading up to the day. On the day itself he was absolutely fantastic and extremely professional. Not intrusive in any way but still managed to capture the important moments. We absolutely love our photos as well as the lovely presentation box our usb came in. 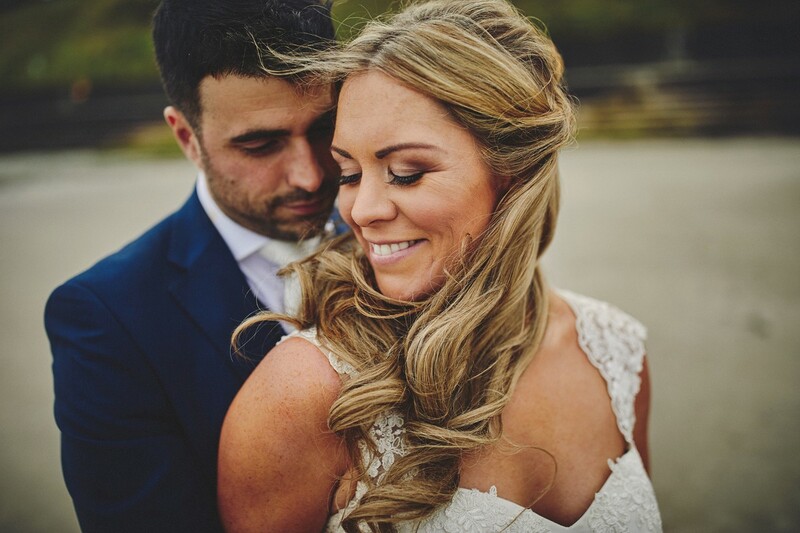 I can't recommend Daniel enough as a wedding photographer he is exceptionally talented and professional.He captured the most natural moments throughout the day,moments that I will treasure forever. 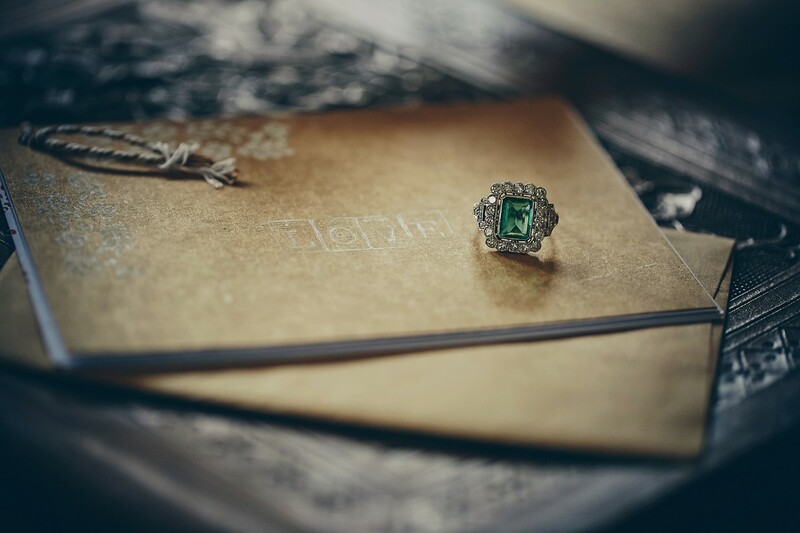 The quality of our wedding album is of the highest standard and the care and attention to detail in each photograph is clearly seen. Any bride or groom looking for a photographer for their wedding need look no further than Daniel you will be guaranteed your day will be captured to the highest quality. Daniel took the shots he needed to take in a discreet manner he captured more than I could of ever wished for. 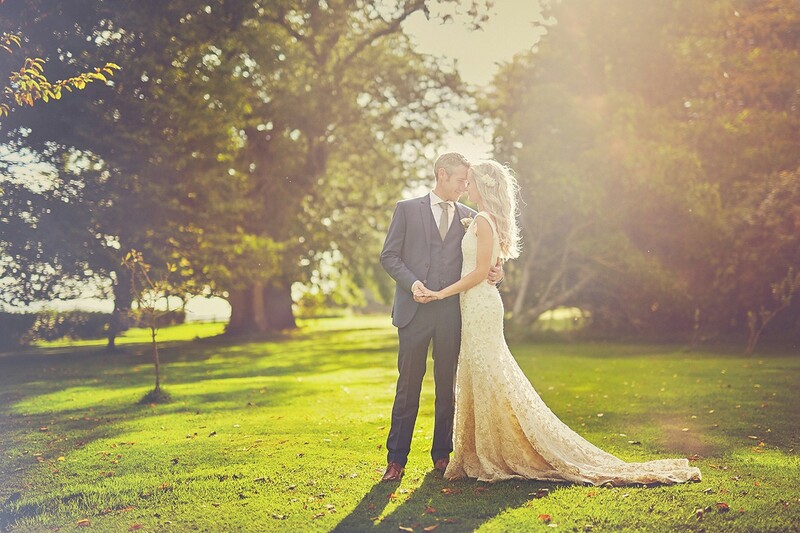 Daniel, Thank you so much for doing such a wonderful job with our wedding photos – we are absolutely thrilled with them! From the outset you have been so professional and easy to deal with. 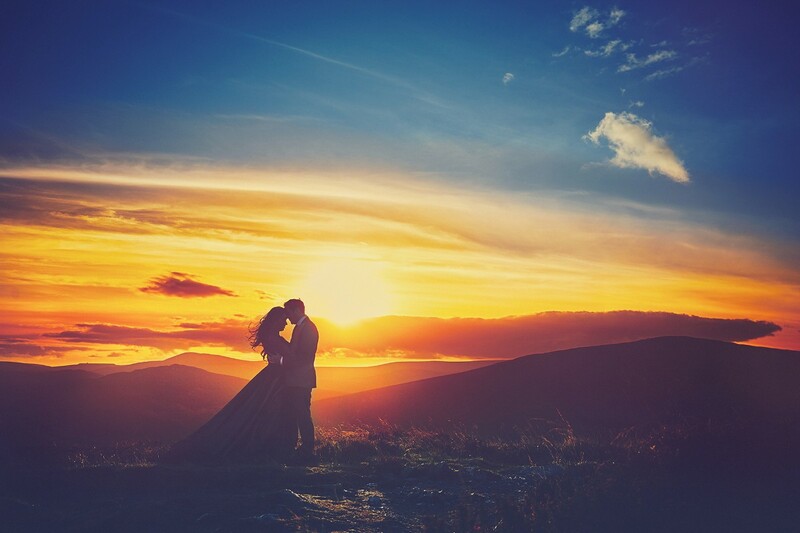 On the day of the wedding you put us right at ease and we barely knew you were there for most of the day – yet you managed to capture the most amazing moments! We will cherish them forever and we couldn’t be happier with the finished product. Thank you so much… Conor & Maria Daly. Maria and Conor. Thank You so much for Your kind words! Daniel is very proffesional and easy to get on with, he does everything he can to accomodate you one the day without being intrusive. Daniel was the perfect choice! He was so professional and unobtrusive, we didnt even know he was there most of the time. We couldn't be happier with our photos. He really captured everything! Tara and Gearoid thank You so much !!! DK PHOTO completed the photos for our wedding last year. 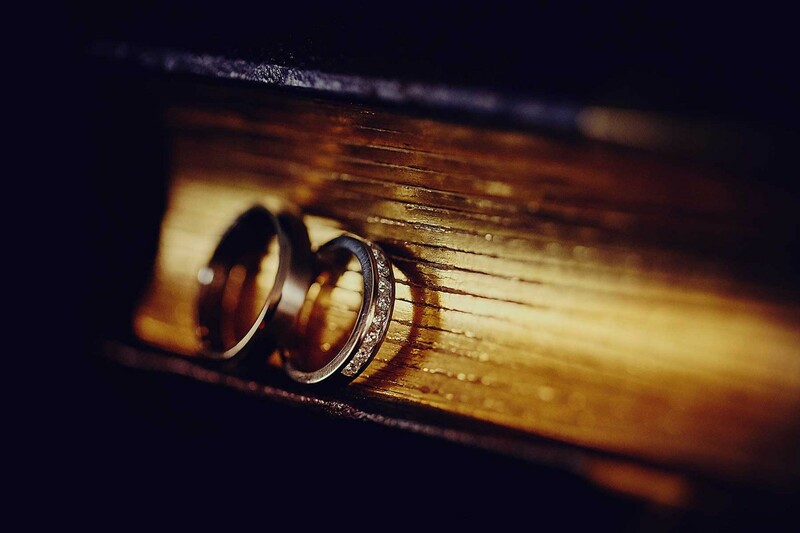 From the first point of contact to the collection of our wedding alblum they have been more than helpful in dealing with all of our questions and requests. They are very professional and talented at what they do and it showed in the final photos from our wedding day. 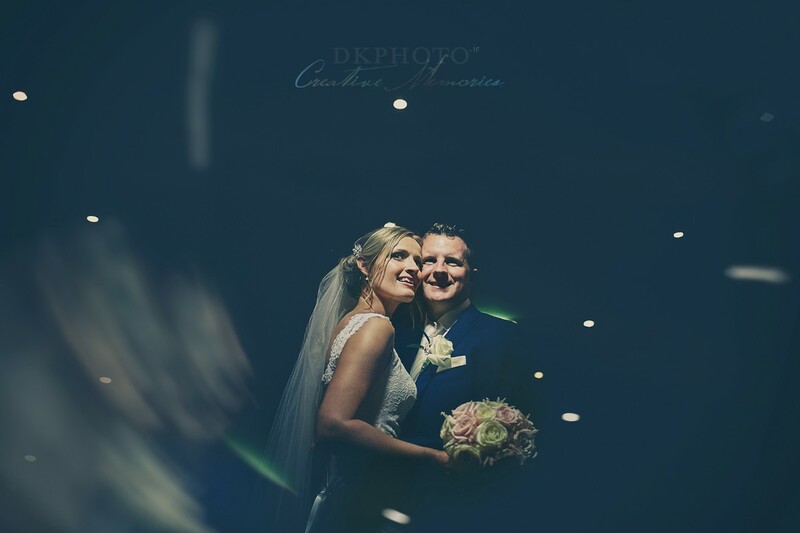 We would be more than happy to recommend DK Photo for any couple getting married. Brian and Emma - Thank You so much for such a nice words ! Very unobtrusive and absolutely stunning pictures that captured every moment!! Daniel felt more like a guest at our wedding than the photographer. He put us at ease straight away & made us feel so comfortable. His photographs were beautiful & natural. I would strongly recommend him to others. He was brilliant. Daniel was great to deal with. He was very professional and responded to all my queries very quickly. Was so surprised by some of the shots he got as i didnt even realise he was there at those times. Slideshow was an added treat which we loved. Siobhan and David thank You so much for such a lovely words ! Thank You ! Amazing professional relaxed service, beautiful photographs. Thank You Linda so much ! Absolutely phenomenal photographer! The photos are not only beautiful, but very creative. Daniel was funny, professional, and a true artist.We definitely recommend DKPHOTO! Thank You ! All the best in future ! DKPHOTO is a must have in your wedding! We were very grateful to have him as part of our special day. He puts his art, soul into what he does and his attitude during the day leaves you with big smiles! The results are what you see, no need to say a word, his photographs are inspirational! As a photographer myself, I am proud to make a choice like DKPHOTO (since everyone was asking who is going to photograph my own wedding:), I would definitely work with him again! Thanks Daniel! Thanks a million! Chara and Mark thank You for Your kind words ! Hi Daniel, Thank you for being so professional but also so discrete on our wedding day. You really have an eye for catching the not-so-obvious shots, and you have captured images of Marie and I that we will treasure forever. Also, the comments we got from our families and friends were overwhelming! They all noted how you managed to capture the feelings and the atmosphere of the wedding in every photo. Thank you for sharing your precious tips with us too, it helped to save a lot of time during the group photos and allowed to enjoy our special day even more. Sincerely from our family to yours. 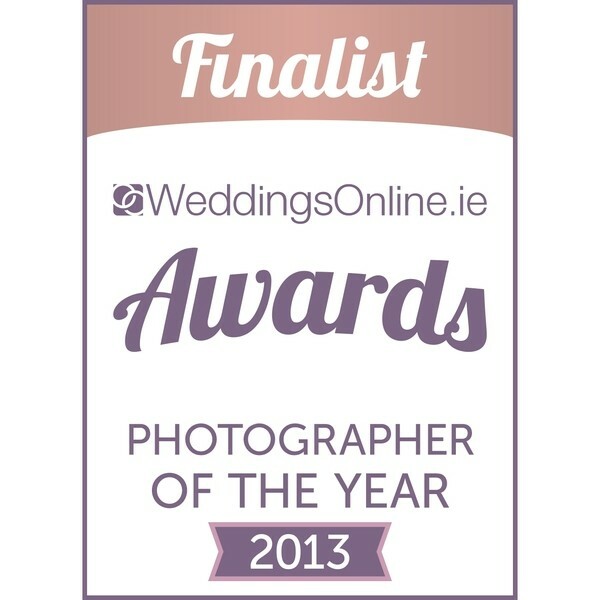 Both myself and Stephen are so delighted that we booked DKPHOTO to be our wedding photographer on our wedding day. The atmosphere and personal vibe was captured perfectly. Our photos are very special and we look forward to looking back at them in years to come. All the smiles and laughs of our loved ones were captured skillfully and with ease without anyone knowing there was even a photographer there! Thanks again Daniel for all your work! Well what can I say,professional, talented, friendly and very artistic! You truly captured our day from beginning to end and we completely forgot you were there! I think the reason you are so good is because you seem to have such a passion for what you do and that really came across when we met you and it was the reason we decided to go with you! The pictures are amazing and the slides show is beautiful and so original! Everyone at our wedding commented on the fact you worked so late and really got stuck in! You didn?t miss a thing. We can?t thank you enough but we will one last time? Thanks DKPHOTO for really capturing our big day. 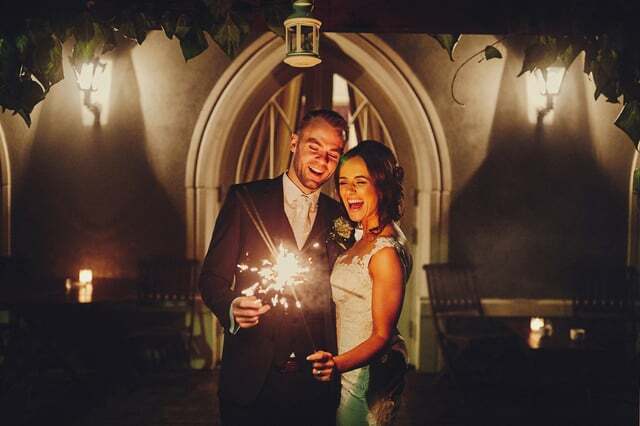 We can look at the photos and slide show and relive our wedding anytime thanks to you! I am trying to find something wonderful to say that has not been said already about Daniel by all his happy brides and grooms! Ever since we stumbled across his website we felt that he would be the only wedding photographer we would trust our own wedding because he has unique ability to make every wedding look special. Daniel was a pleasure to deal with from start to finish, which was refreshing given how stressful organising a wedding can be! He makes you feel like yours is the only wedding he is doing, he just goes the extra mile all the time. On the wedding day Daniel was relaxed and accommodating, he blended in and was snapping away in the background. Daniel got all the important shots we wanted, especially the relaxed imformal ones which really captured the atmosphere on the day. Both myself and my husband were absolutely delighted with the album. The photos were stunning! The slideshow was superb many tears were shed looking at this by many people. The feedback from everyone, our family and friends has been genuinely great. Daniel managed to delight and charm everyone with his shots. We would recommend DKPHOTO to every couple organising their wedding as he is a real professional with a wonderful artistic eye. We really can?t find the words to express our enormous gratitude for the amazing job you've done. Daniel took fantastic photos for our engagement shoot, , he came up with fun ideas and we were delighted when he said we could even bring our dog Dino. He was so good we sometimes forgot he was taking our photos. He knew the exact locations to shoot at and gave us brilliant tips on how to relax on our big day. We had an amazing day with him and with so many lovely photos we now have the difficult task of deciding which ones to use, thank you Daniel so much you have a atural talent and creative eye! I can honestly say that choosing Daniel as our wedding photographer was the easiest part of our wedding planning. There were obvious advantages, the amount of time that Daniel was prepared to give, the competitively priced packages but what really put him ahead of the rest was the quality of his work?.truly breathtaking photos. Unfortunately the day we got married the sky was grey and it rained but we had a secret weapon, we had Daniel and none of that mattered. Despite the weather we got beautiful, colourful and creative photos. I loved every single photo (and there were lots! ), they were all so different and such an amazing record of the day from the very beginning to the end of the night. Every minute was documented perfectly, Daniel has a natural talent and creative flair that cannot be achieved with equipment alone, he brings something extra special to what he does. We were delighted with Daniel and our guests were equally impressed, we received so many compliments on how he was not at all intrusive but amazingly he still managed to capture the most intimate and natural photos of us and the guests. When I showed the wedding photos to my parents we laughed and cried and smiled and laughed some more, the best memories ever! What Daniel gives to people is truly priceless, he gives the gift of memories. From the moment we saw Daniel at our friends wedding over a year before our wedding, we knew he was the photographer we wanted! He attention to detail and flair for capturing ?non posed? pictures was exactly what we were looking for on our wedding day. Daniel was the perfect wedding photographer, as he was attentive and calm during our wedding party shots and then he disappeared into the background and really captured the essence of the day ? looking through our wedding photos was like re-living it all over again. Daniel arrived early in the morning and stayed late into the night, getting all of the best moment throughout the day as well as some of the funniest party photos ? something I know a lot of my friends who have wanted on their day. I don?t think I can thank Daniel enough for the amazing wedding photographs that he took on our day ? he was always smiling and nothing was a problem. We couldn?t recommend him highly enough! Lynn and Baz Thank You ! Just wanted to get in touch to thank you for being our wedding photographer in October. I knew from our emails back and forth before the big day that you were going to be great, but I had no idea what an important part of our wedding you would be! You had so many options to suit our budget, and we loved your suggestion to hold off on the album until afterwards to keep the cost down (even though we picked one out straight away anyway!) On the day you were so relaxed, we barely noticed you were there, but you still managed to find out who we wanted photos with and got lots of fabulous relaxed shots of the guests which we really wanted! I love the ones from the boys house that morning, all the stuff that I wouldn?t have seen without you! Everyone was raving about you, the guests, the hotel staff and our families. Thank you so much for everything, you?ve captured a lot of gorgeous memories (and a lot of stuff we didn?t even notice!) We?ll definitely recommend you to all our friends, wishing you and your family a very happy Christmas and a busy new year! Steven and I want to say a huge thank you to Daniel and his wife Anna for the amazing job they did on our wedding photographs. Daniel has been a pleasure to deal with from the time we first enquired about hiring him for our wedding. He responded to emails really promptly, and had a lovely, informal way of doing business which made us feel at ease and like no question was too silly! Daniel arrived at 8.30am to take pictures of the bride getting ready. He literally floated around in the background, quietly snapping away whilst not getting in the way during all the madness. Daniel?s discreet style of capturing moments at the wedding was perfect for us. Although we did do some posed pictures, we still felt really at ease with Daniel. Our guests commented on how lovely Daniel was and how he never got in their way or made them feel uncomfortable ? which was really important to us. We wanted natural moments to be caught on camera. Daniel stayed at the wedding until long into the evening reception to capture the ?wilder? part of the evening, meaning we have some great, fun memories to reflect on. He put in very long hours for us on our wedding day and we are really grateful, as it?s meant we have such amazing photographs. We?d also like to thank Daniel?s wife Anna for her patience and the time she?s spent getting the spreads just right for our photo books. No change was too big and nothing was a problem ? she understood that we?ll have this memento of our wedding for the rest of our lives and worked really hard to get it just right for us. Daniel. We just wanted to thank you soo much for all your work doing our wedding photos!from the moment you arrived at our house the morning of the wedding you put me at complete ease.You captured every moment of the day and never missed a smile. Our guests complimented your kind polite nature and unabtrusive presence!we are so in love with every single photo you presented to us and cannot wait to get our albums!Your wife anna was also an absolute pleasure to deal with and together you make a great team! !We cannot recommend anyone better to do the job you do and we will without a doubt be using you in the future.Thanks once again. Thank You soooo much ! I wish You all the best ! Daniel was fantastic on our wedding day. Some of our friends getting married disappeared for hours for their wedding photos, this totally took from their enjoyment of the day. Ours took no time and they are still brilliant. He was totally in the background and you?d hardly notice he was there. This meant that he was able to capture the true spirit of the day. The fact that he stayed so late was great. We didn?t have a videographer so it was lovely to get photos of everyone on the dance floor. When you look back on your wedding, all you have afterwards are the photos, so it?s really important that you love them. Every time we look at our photos we laugh- we'll treasure them forever. Thank you Daniel for that. From the moment we booked Daniel, he approached our wedding with creativity, professionalism and fantastic attention to detail. He was very conscientious in working with us to devise a specific brief in terms of the shots we wanted to achieve and the atmosphere we wanted to convey. On the day itself his warmth and friendliness put all our guests at ease and he discreetly captured the full spectrum of emotions, from tender moments in the church to ridiculous displays on the dance floor. We would recommend Daniel without hesitation ? his photography has given us a wealth of beautiful memories to cherish from our day. Mark and Petrina Thank You soooo much ! I wish You all the best in future !!! Thank you so much for your amazing work. You were a calming presence throughout the day and we are delighted with the results. We didn?t even notice so many of the photos being taken. You worked so hard all day and always had a smile on your face. Our wedding was the happiest days of our lives and the photos perfectly capture the whole day. We will treasure them forever. We were coming home from abroad for our wedding and were very excited about the prospect of enjoying our special day with our friends and family. 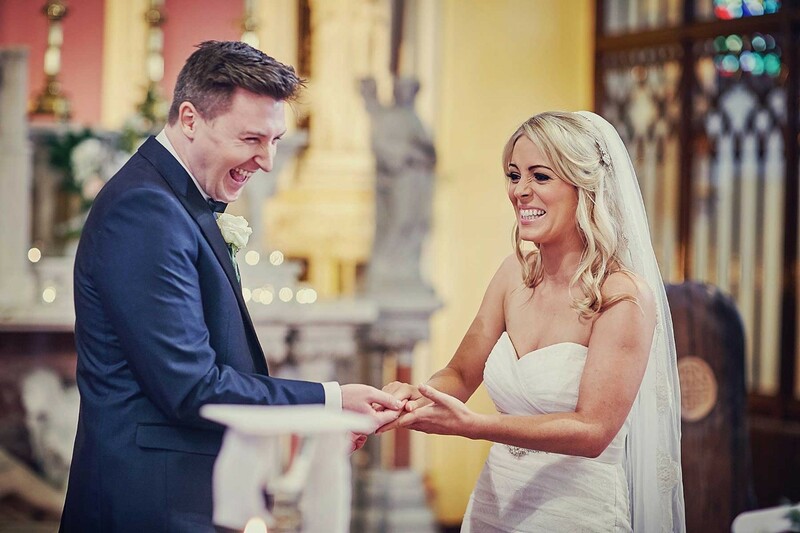 We wanted our photographs to reflect the laughter and the joy of our wedding day and without any hesitation, we can say that Daniel achieved. We saw Daniels photographs on line and could not believe the feeling that he was able to capture on camera. His photographs were pure emotion and we found ourselves laughing and smiling at photographs of people we didn?t even know. On our wedding day Daniel was so professional and unobtrusive. Even our guests commented on how respectful he was at all times and particularly in the church. He let us enjoy our day with our family and friends, never pressuring us into leaving them looking for photo opportunities. He worked so hard all day in the background and has captured the most amazing shots of us and our guests. When we received our own gallery , our photos were everything that we wanted each shot showing the true feelings of that moment ? . 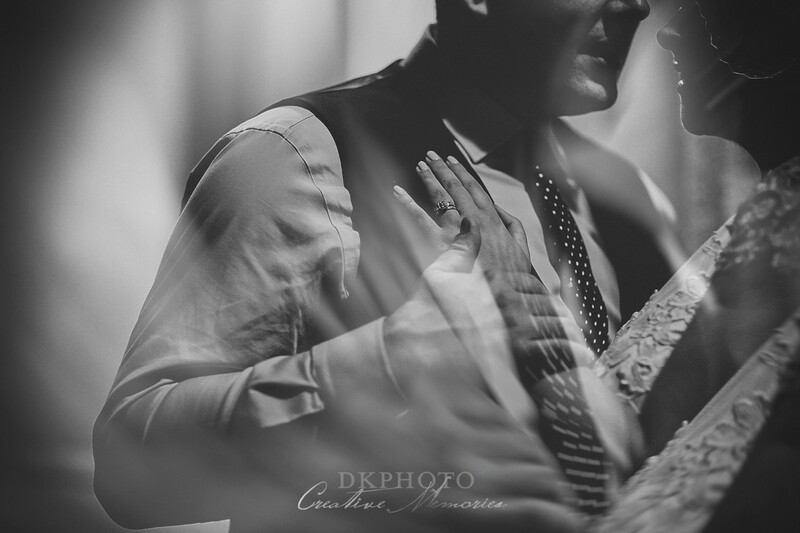 Daniels ability is not just to take amazing photographs but to get to the heart and soul of everyone who shares your day and capture their emotions in pictures for you to enjoy for the rest of your married life. We have said it before and we will say it again, thank you sincerely. We wanted Daniel because after looking at his work, we could see he really captured those candid moments that truly document the event. He worked flat-out the entire day and being as professional as he is, we barely knew he was there! I am thrilled with the results. David and I had such much fun and I am delighted that the photos reflect that ? they are a true representation of our wedding and of us as a couple. Every time I look at them I can?t help but smile. Daniels work will remind us of what a great day we had for years to come. I cannot recommend him highly enough. Review by Jennifer and Philip. We saw Daniel's work at a friend's wedding and knew straight away that we wanted him to take our wedding pictures. The main draw was that his photographs are so natural and not posed. And we were not disappointed. From our first meeting with Daniel he was totally professional and had alot of good ideas for us. He arrived at 8am on the wedding day and stayed until 10.30pm and as a result we now have a beautiful photobook and slideshow which capture the whole day perfectly. We decided against a videographer and it was the correct decision as having the slideshow is as good as having a video. Our photographs were ready when we got back from honeymoon and the whole process of picking our photos and getting our photobooks only took a 2 months. On the whole we cannot say enough good things about Daniel and his wife Anna who put so much work into designing our photobook and slideshow. They did a fantastic job and we wouldn?t hesitate in recommending them to anyone else. Daniel, what can we possibly say, we couldn?t have asked for a better, more hard working photographer than you. You arrived to our home at 9.00am and didn?t leave until 11.15pm, you never stopped for those 14 plus hours and as a result we have fantastic photos of all the tiny little details and the enjoyment in not only our faces but the faces of our guests throughout the entire day. Our guests raved about how friendly and approachable you were but how you were no way obtrusive, you just snapped, snapped, snapped all day long. We really appreciate the effort you put in to insure we were relaxed and happy for the day, thank you so much. We wish you continued success in your wonderful career. We hired Daniel for our wedding celebration in Dublin. As we do not live in Ireland, we were concerned about not having the opportunity to meet a photographer in advance of our big day. But we felt very reassured by Daniel?s prompt replies to email, his eagerness to understand our taste and requirements, his attention to detail in planning, and by a straightforward but detailed contract. On the day Daniel and his assistant were a source of calm, taking hundreds of photos without ever getting in the way. We are delighted with the results which remind us how much fun we and our guests were having throughout our day. We are most happy with our choice and would definitely choose Daniel again. Stunning photos. I have never had more fun having pictures taken. You were great fun so every smile was natural. You were absolutely a pleasure to deal with before and after the wedding and our wedding album was perfect. I would highly recommend you for any type of photography as you make everyone feel so comfortable. Ask the Experts - Should I Provide My Photographer with a List of Photographs I Would Like?